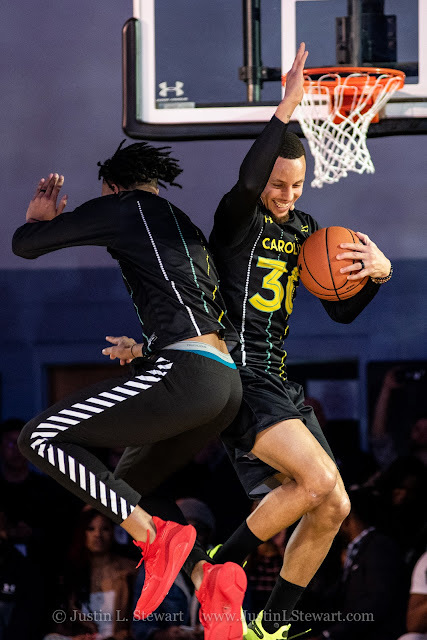 This career is such a random and funny one. I love how I never really know what's around the corner. 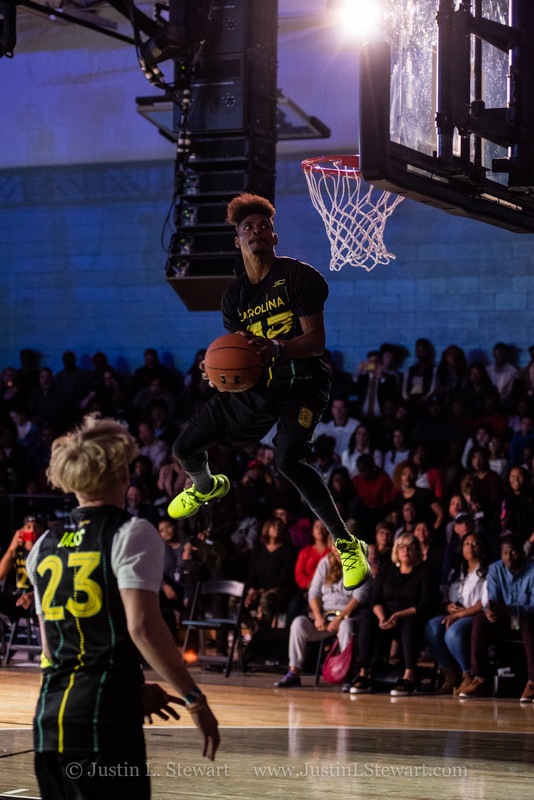 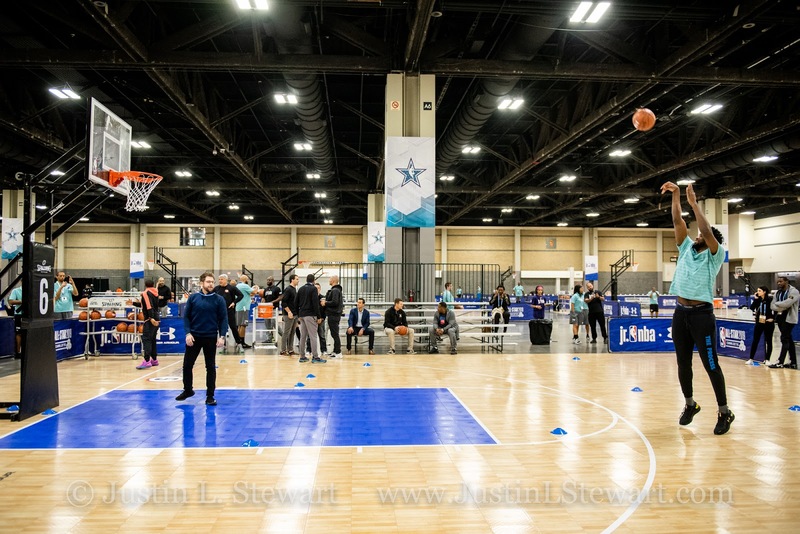 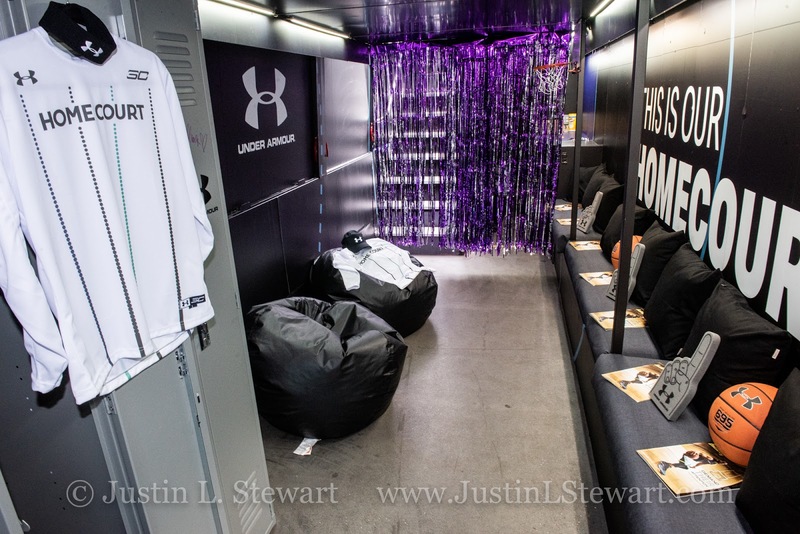 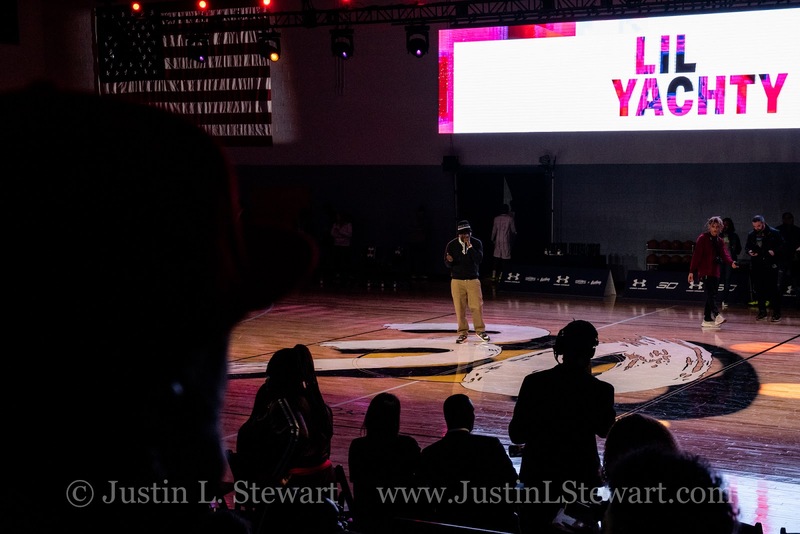 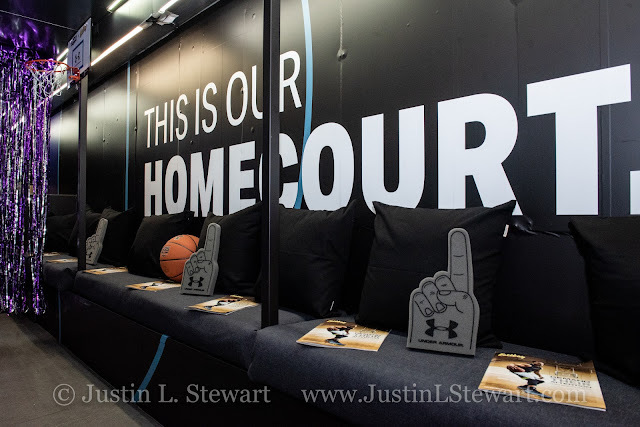 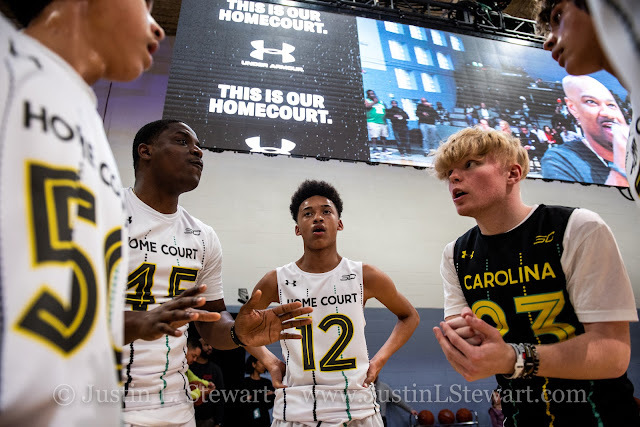 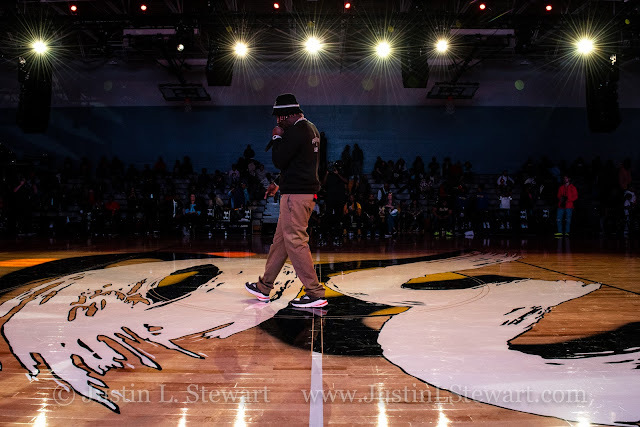 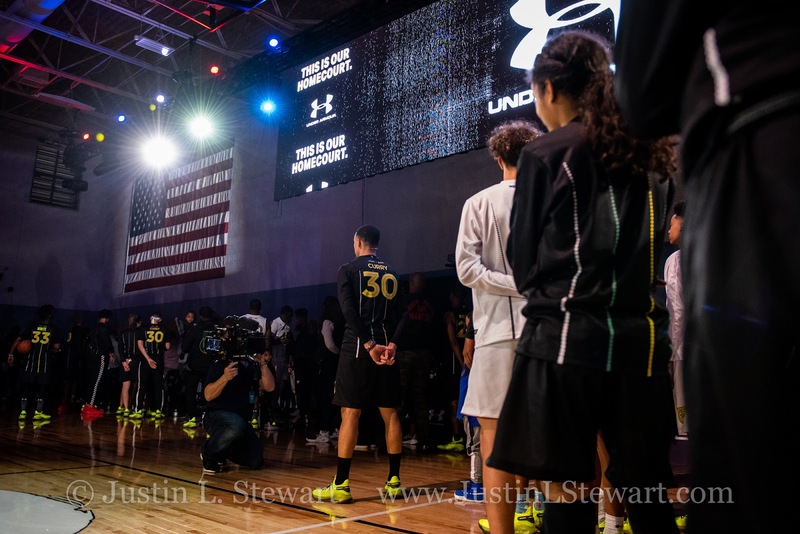 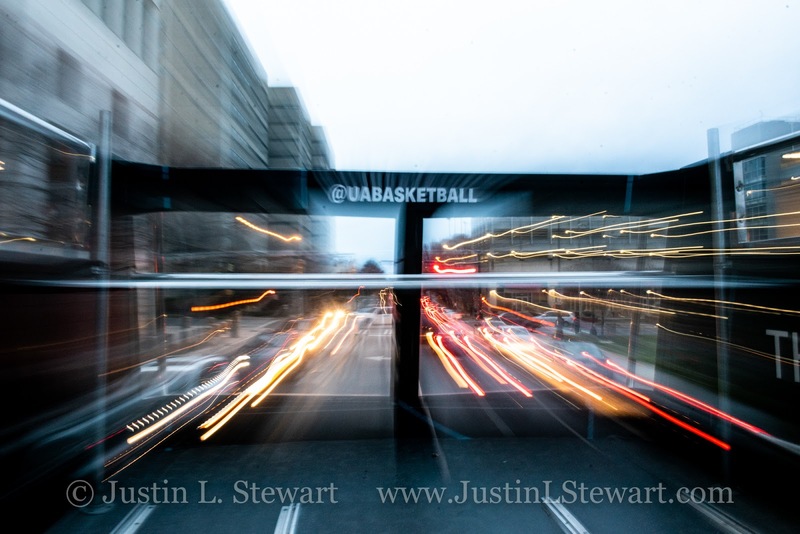 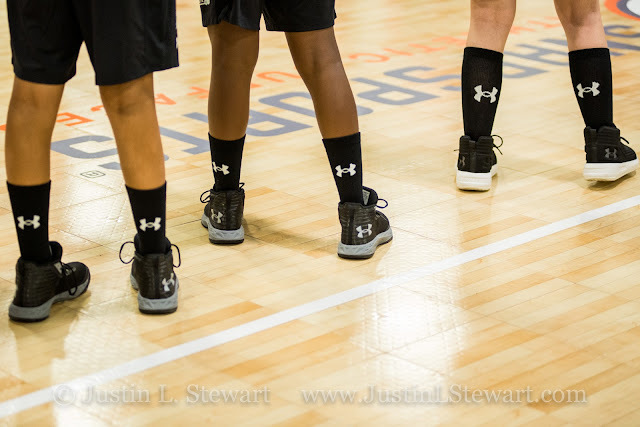 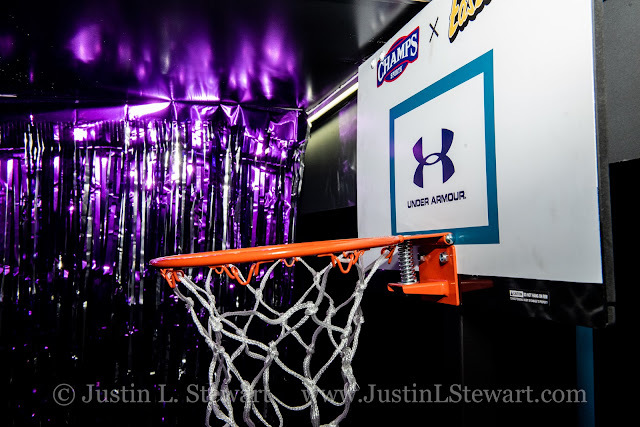 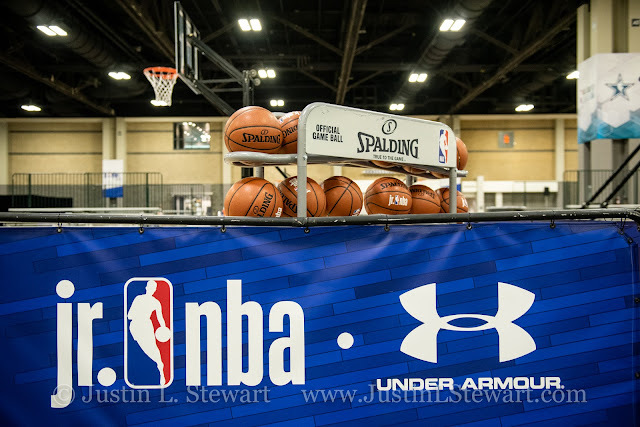 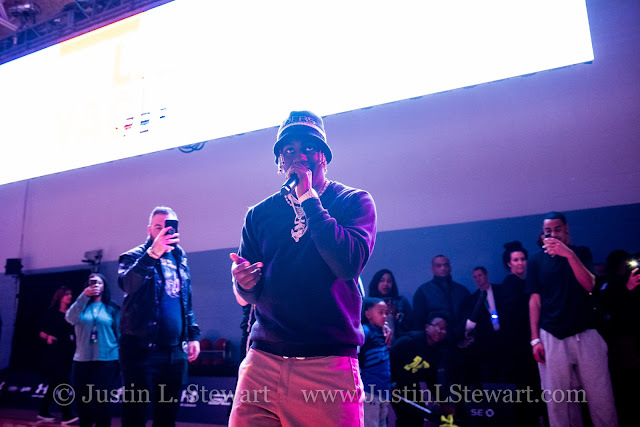 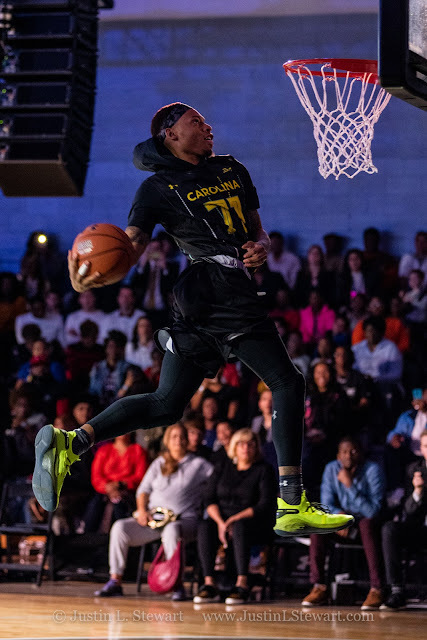 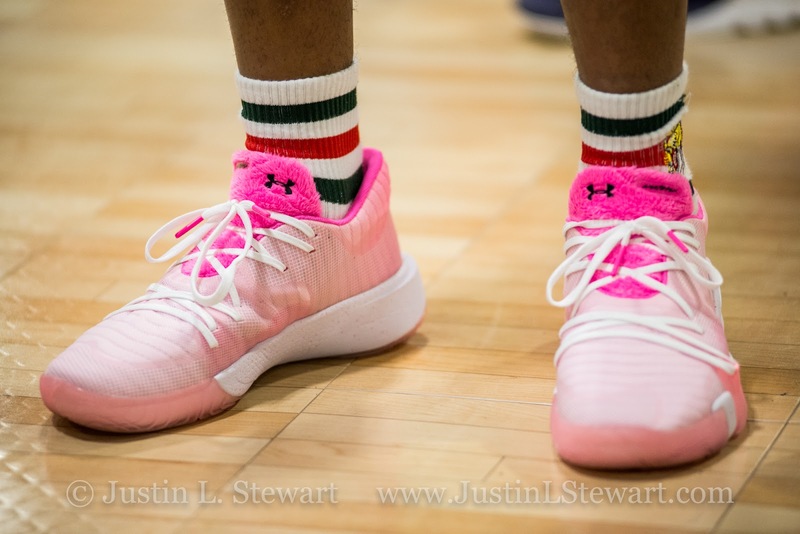 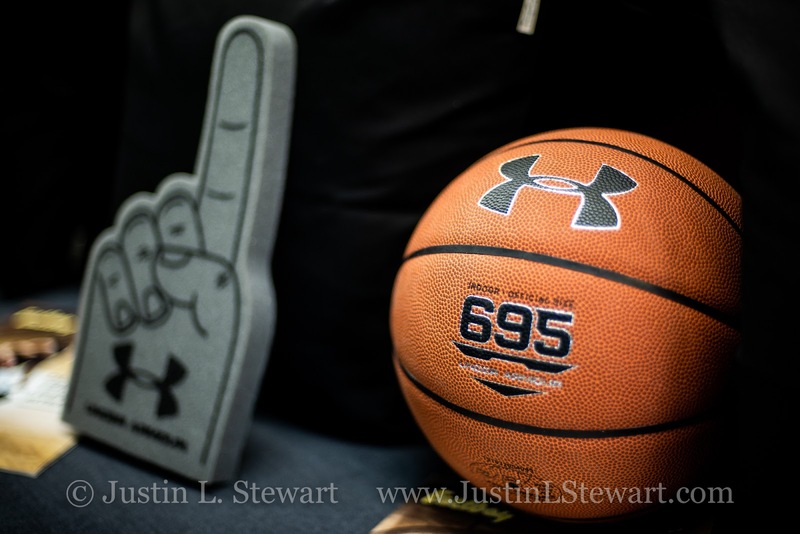 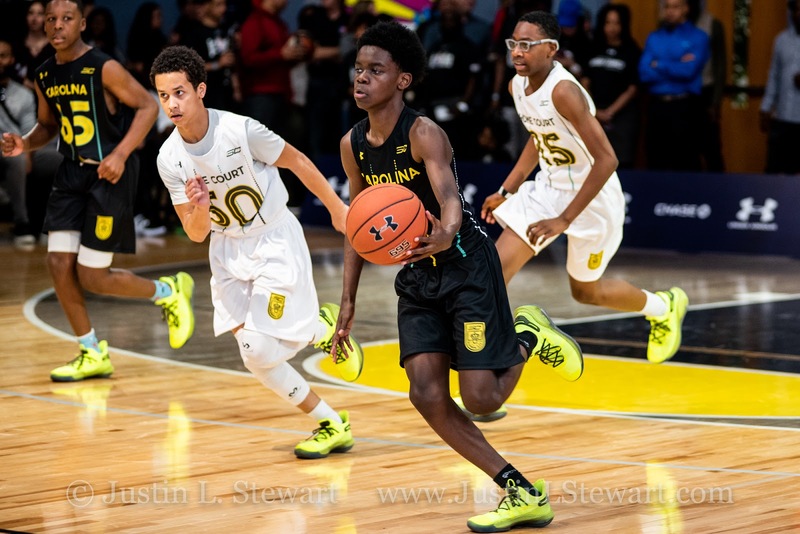 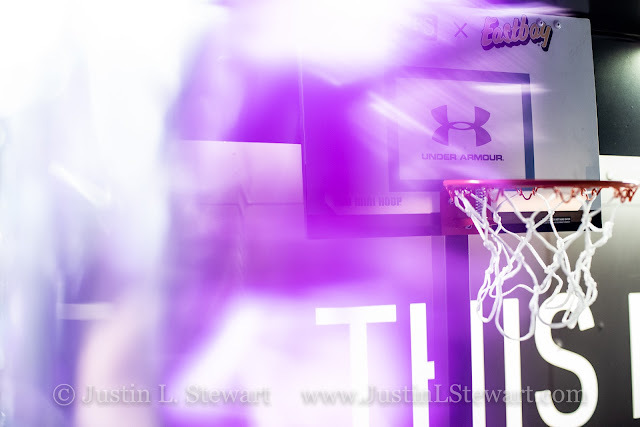 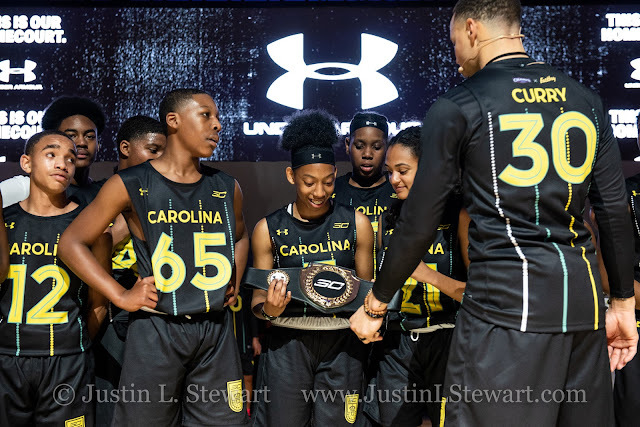 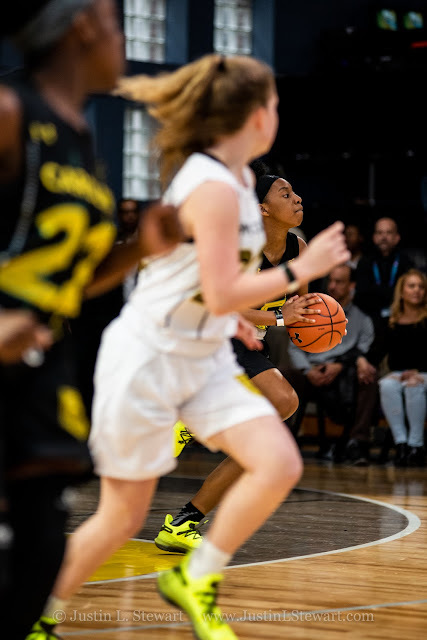 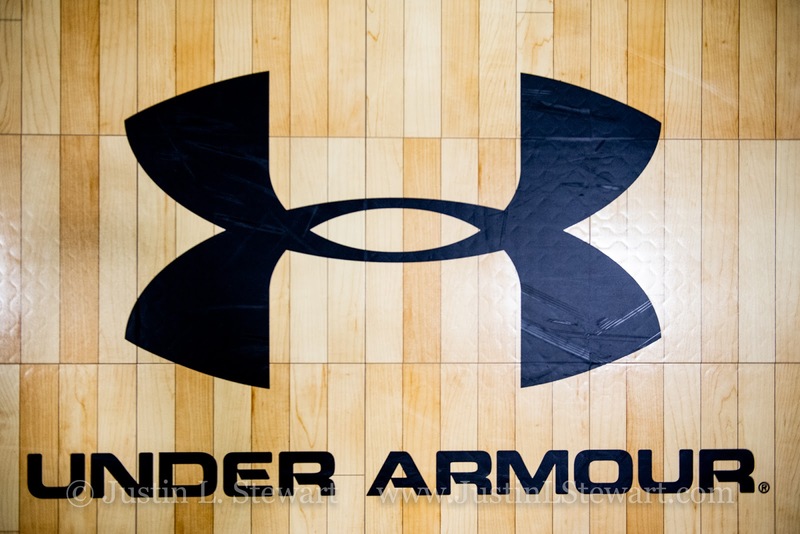 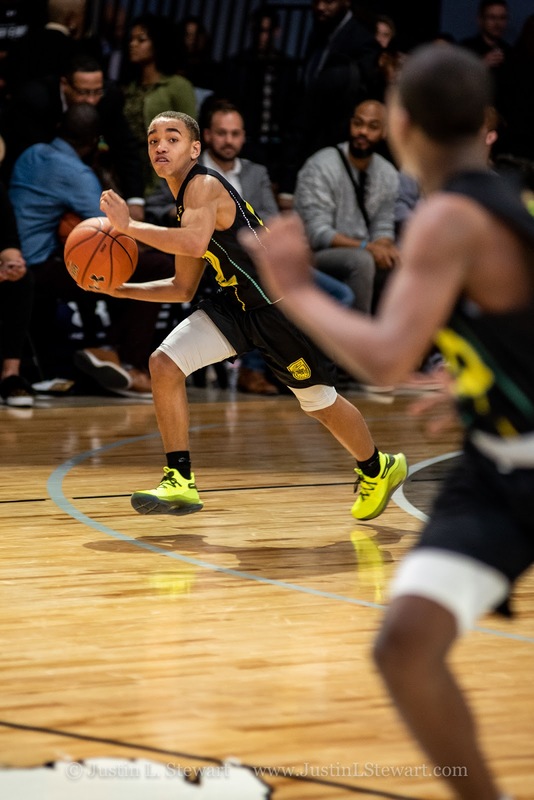 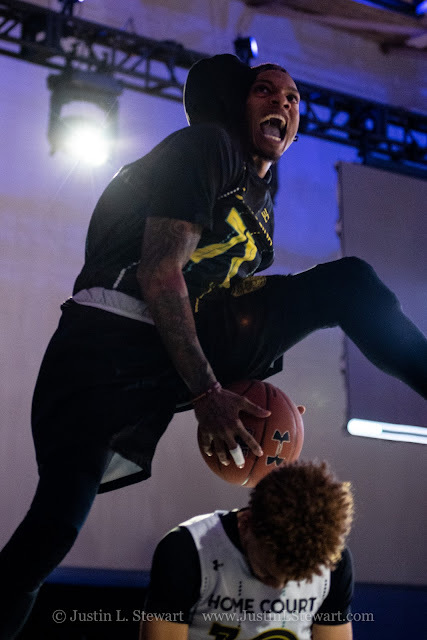 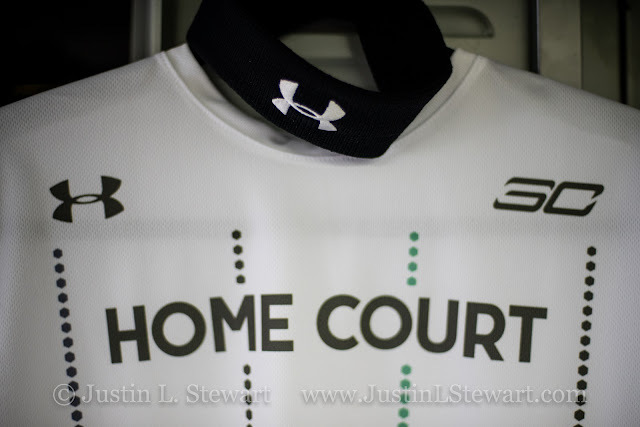 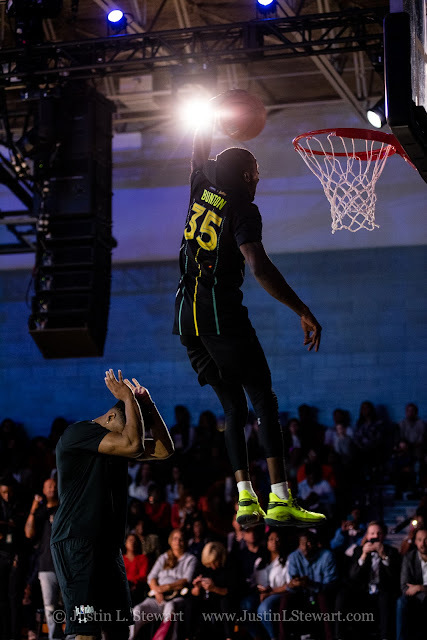 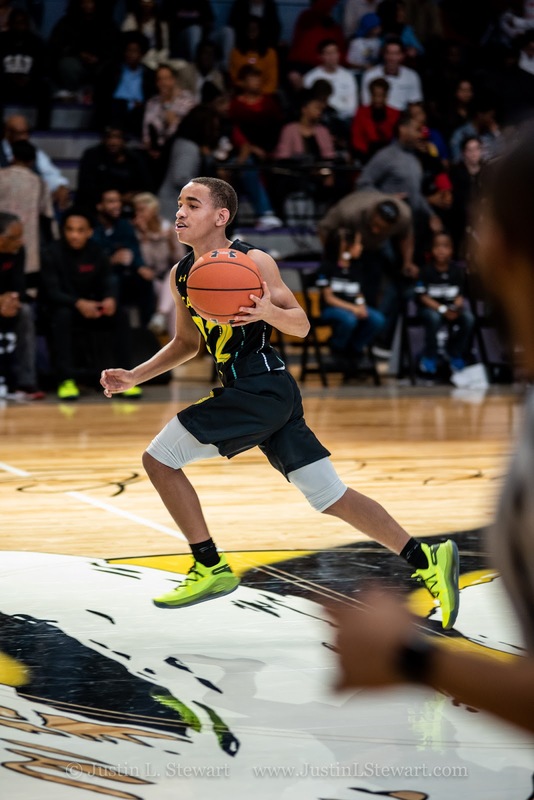 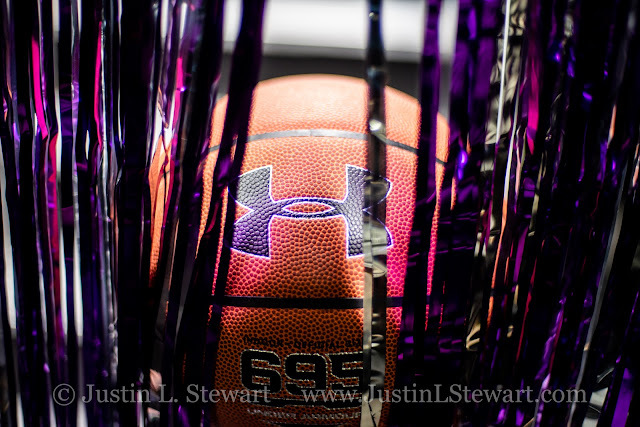 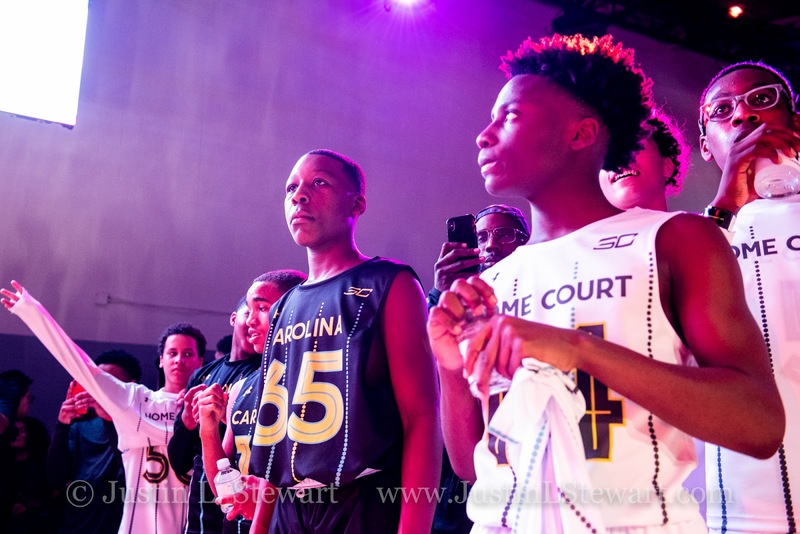 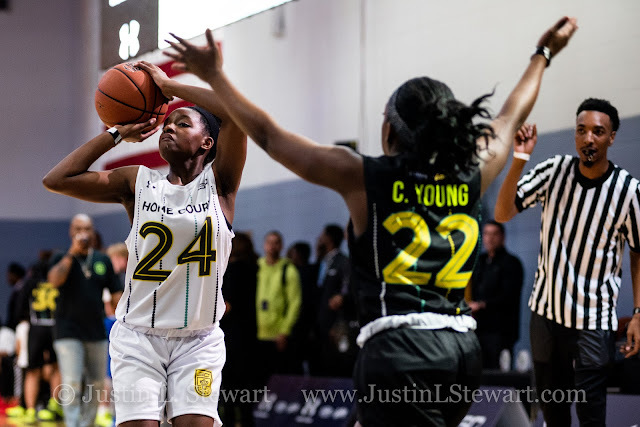 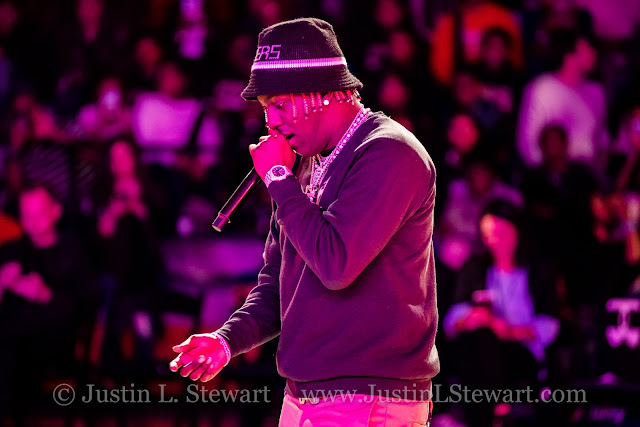 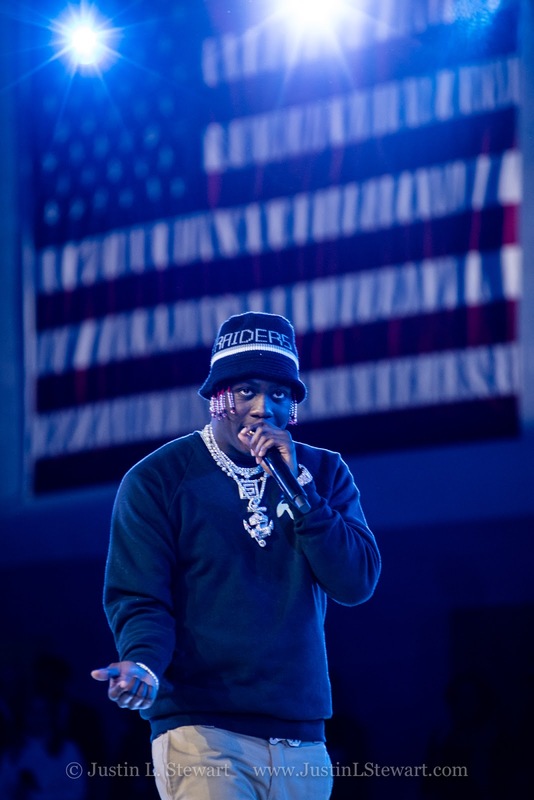 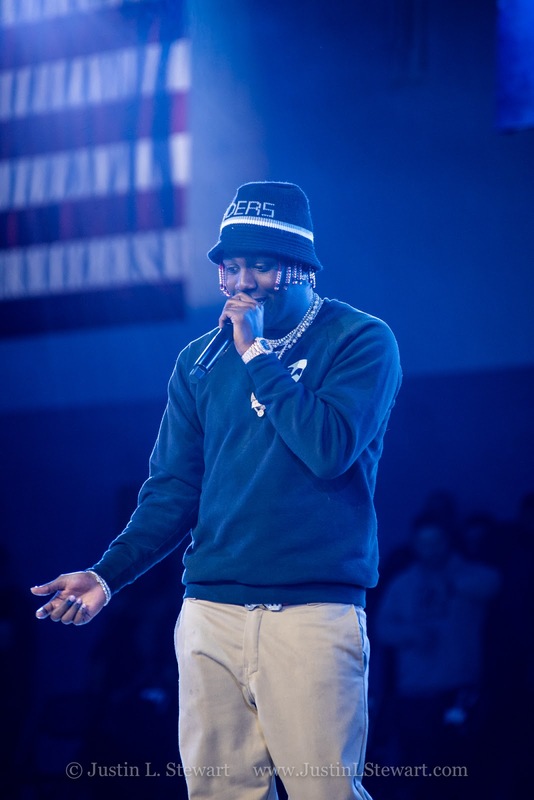 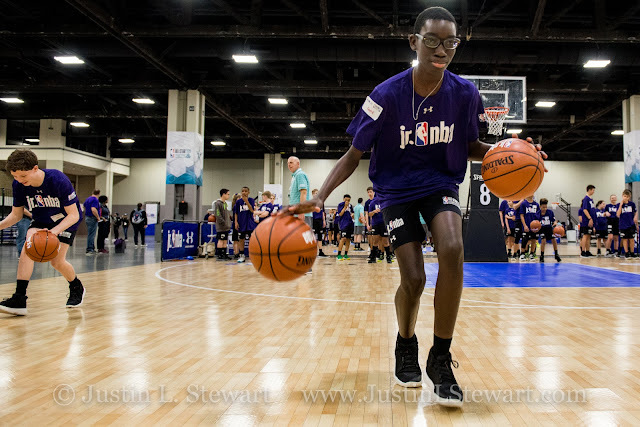 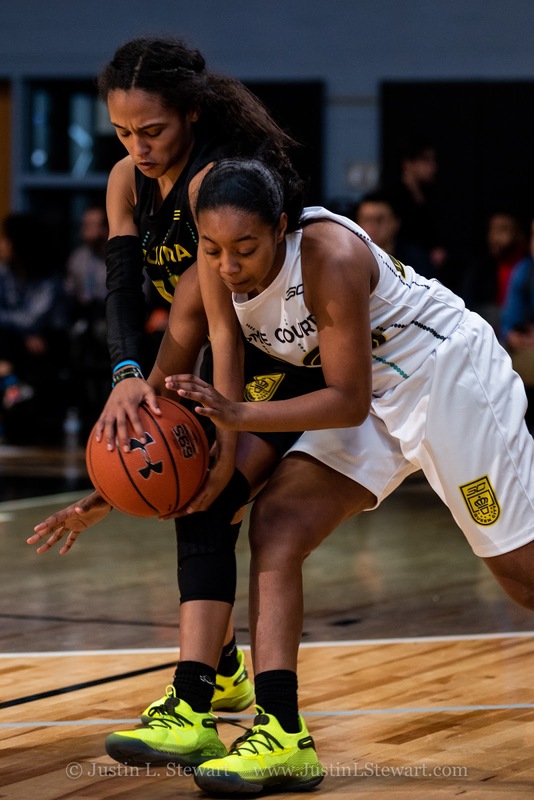 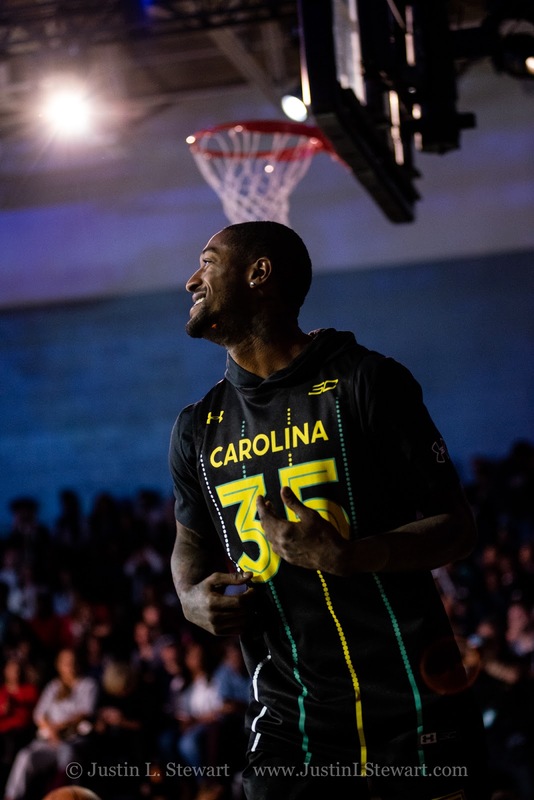 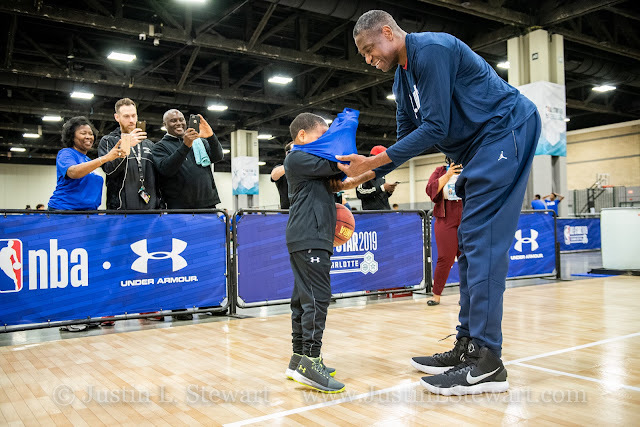 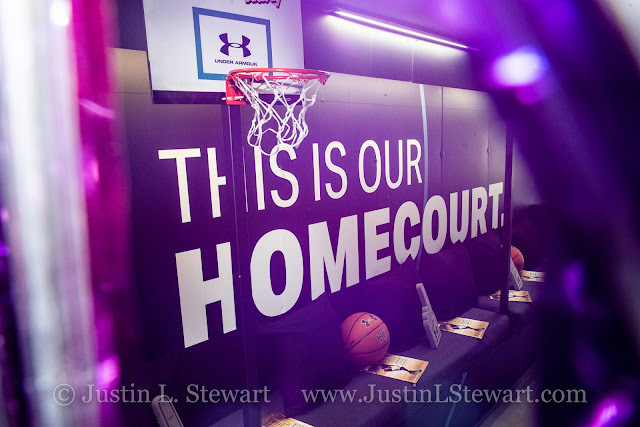 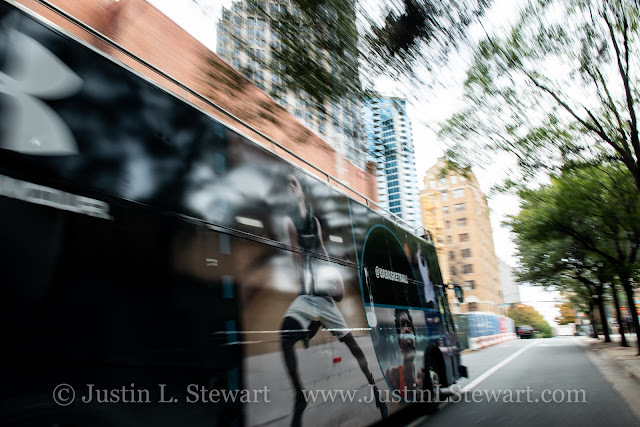 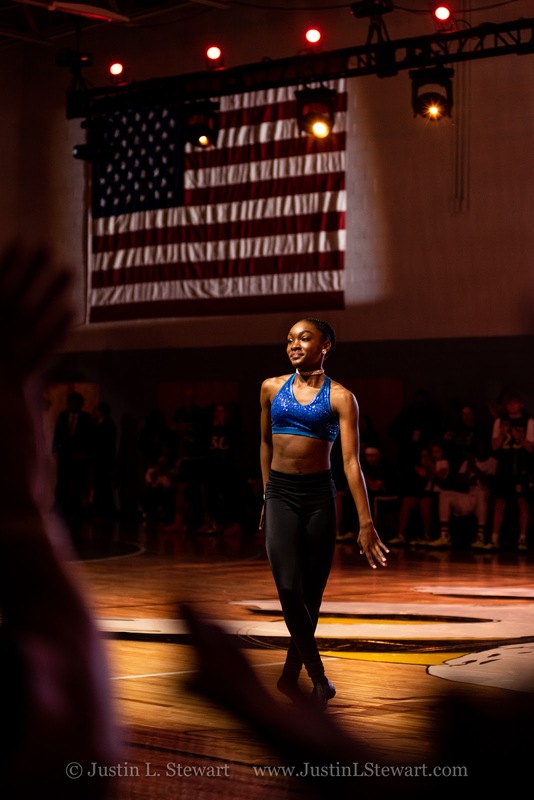 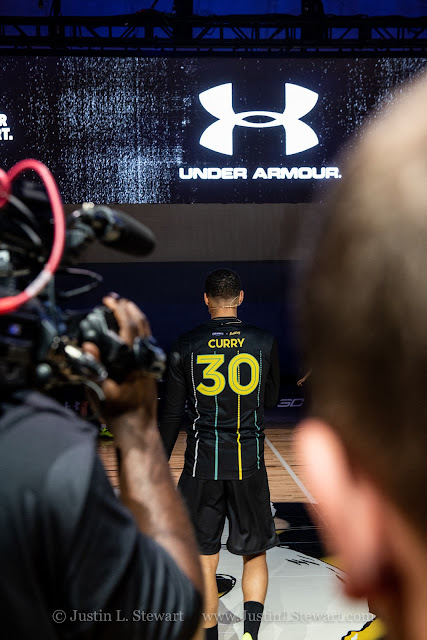 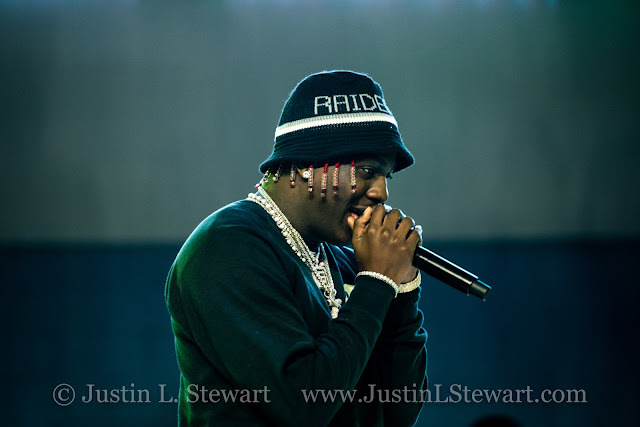 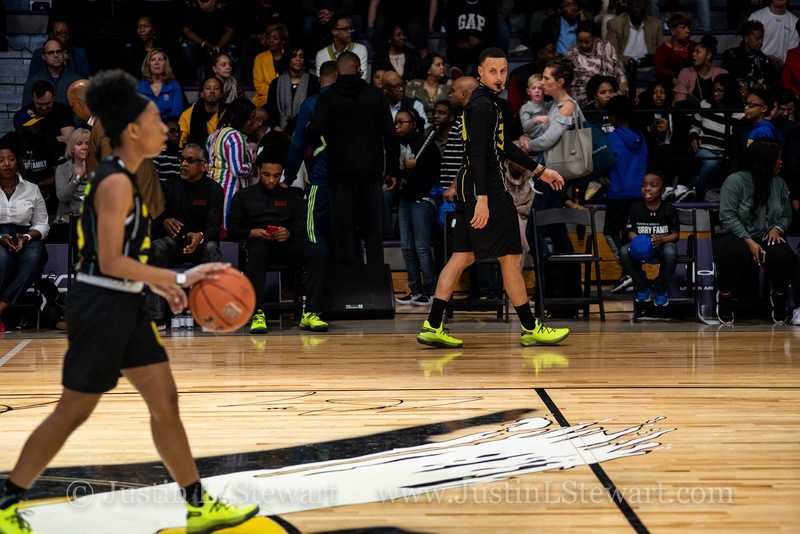 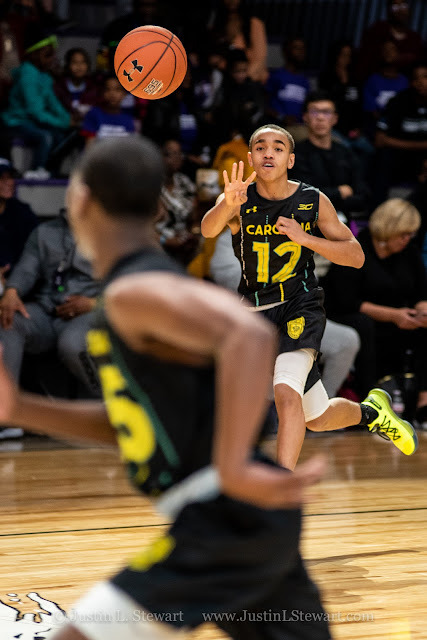 Last week, after a short week of brief discussions and negotiations, I found myself in Charlotte, North Carolina to cover some of Under Armour's events for the NBA All-Star Weekend 2019. 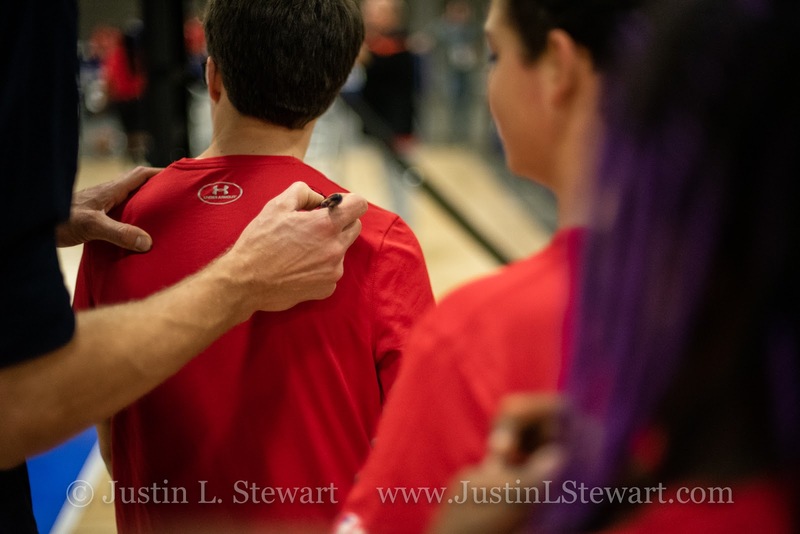 As with all large events, things were chaotic and I needed to roll with the changes and unknowns as they came in. It was fun having largely free reign of things around top NBA players such as Stephen Curry, Dirk Nowitzki, and Blake Griffin. 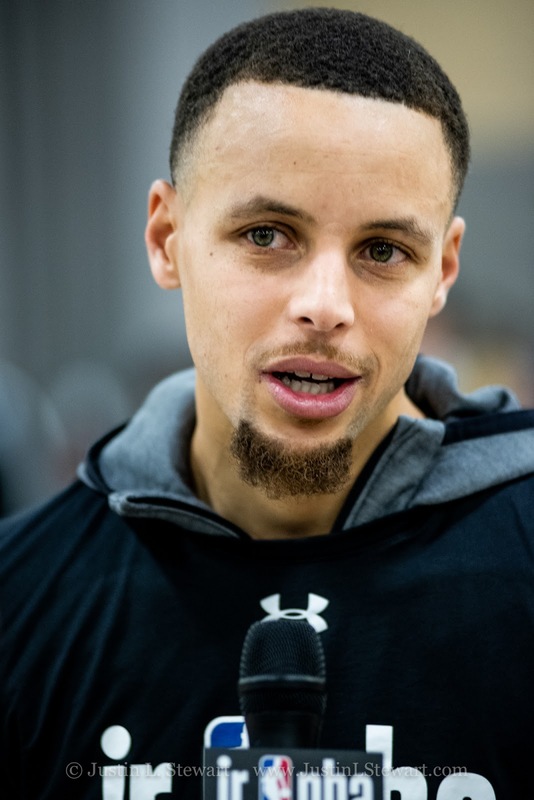 I don't get star struck, but it's always interesting to make the leap from seeing someone on TV to seeing them as a real person face to face. 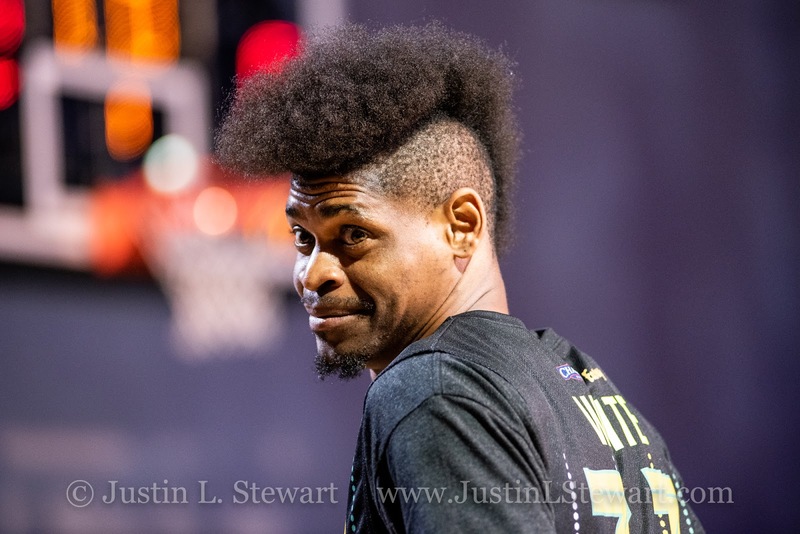 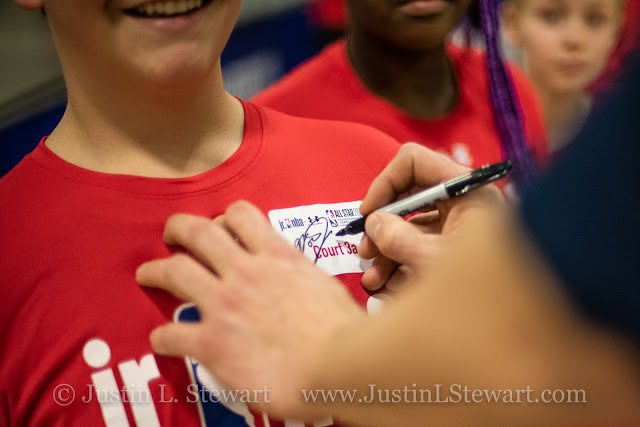 And it was just nice to see the energy the guys put out to entertain and humor the kids. 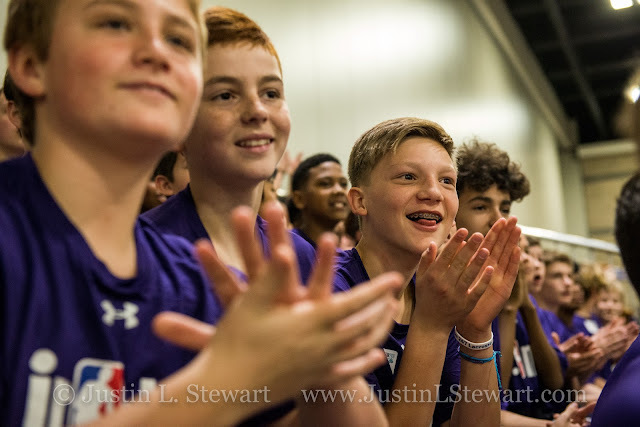 I'm sure it always feels like a lot is asked of them and the feeling of all these people constantly staring at/photographing/following you is weird. It's cool to see someone accept that and to go beyond it to make an experience special for these kids. As per usual, here's an onslaught of images. 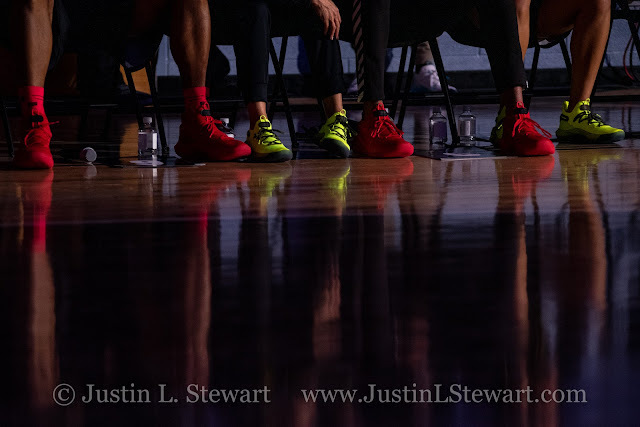 This blog also serves a purpose of being able to send examples to clients of what I have done/can do for them, so I like to keep things wide so they get a good feel for my work. 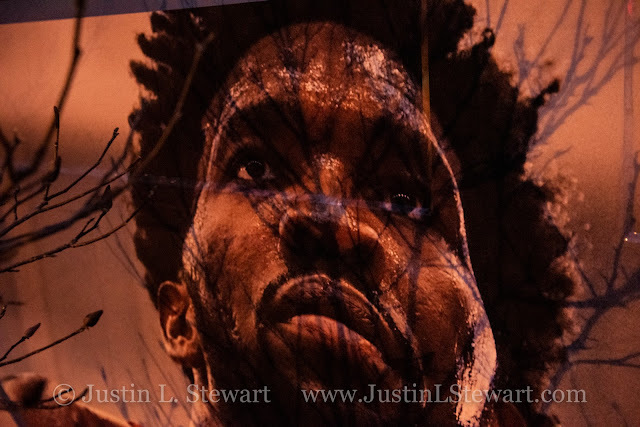 And I hate images being buried and never seeing daylight. 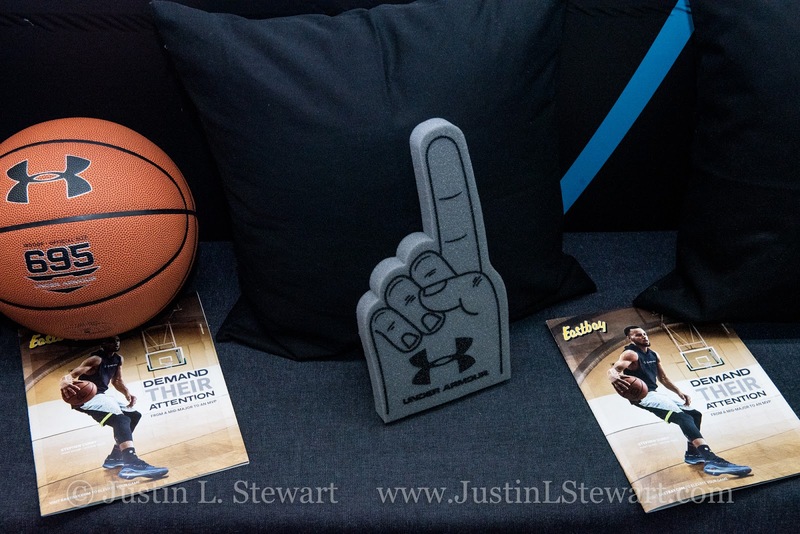 Who knows which of these will ever actually see daylight outside of this blog and a few Instagram stories from Under Armour. 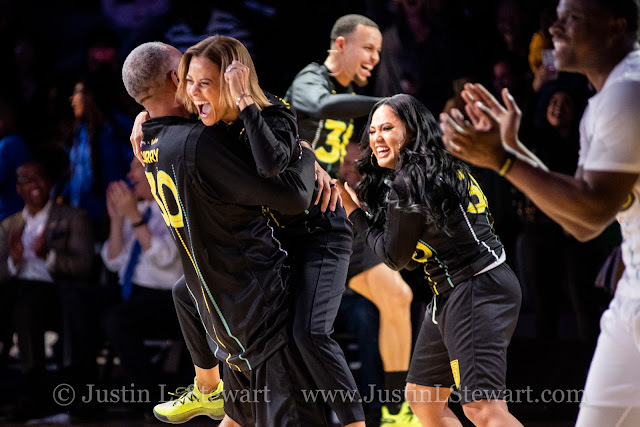 I'll celebrate them for this moment, even if they just get scrolled past by most readers. 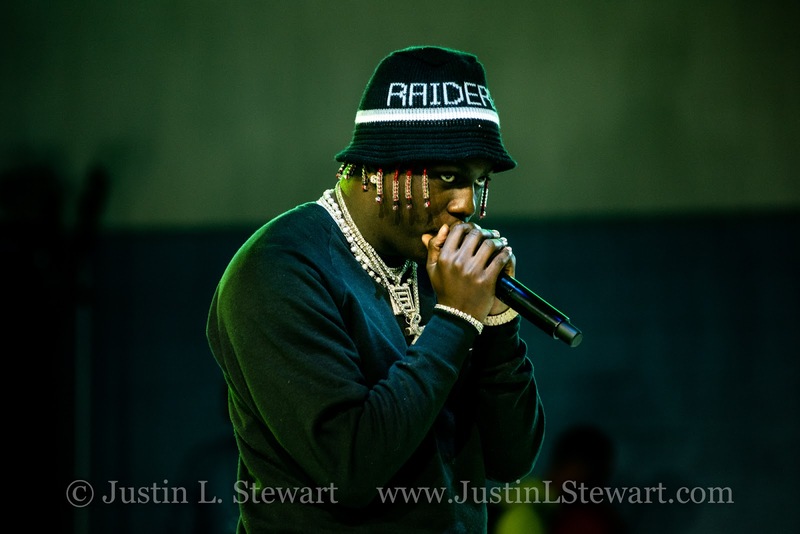 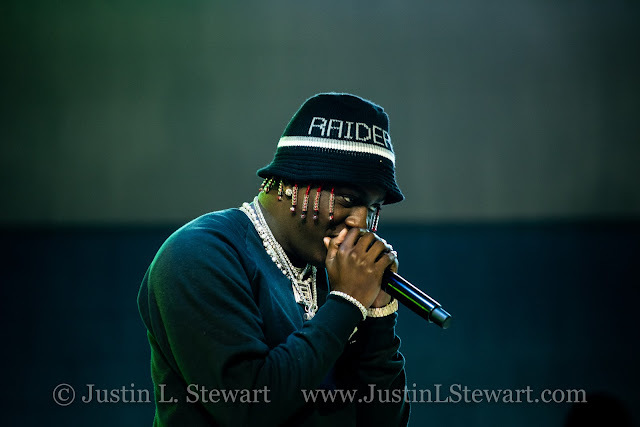 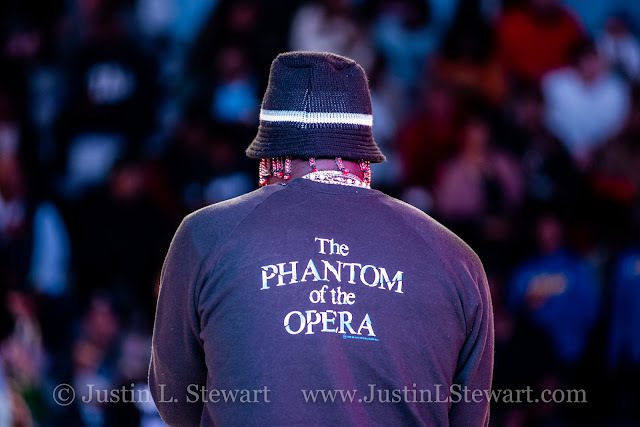 Let me know if any of the photos catch your eye! 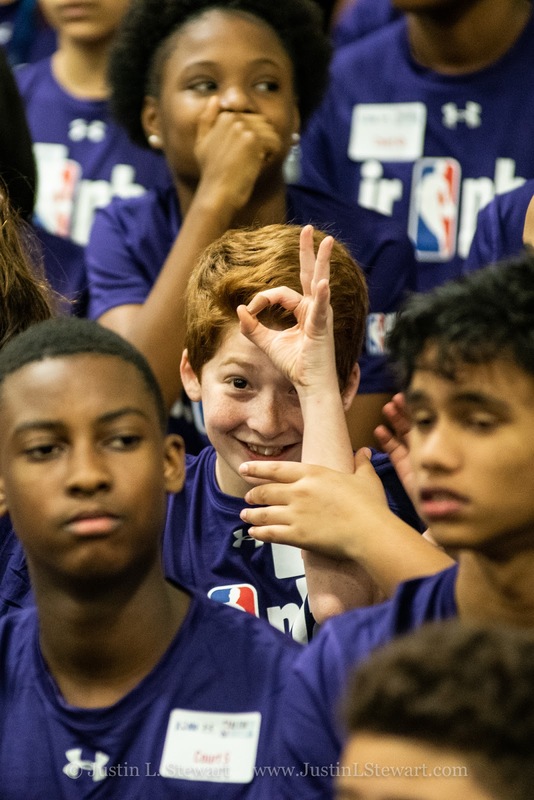 As a photographer/cinematographer, I'm always eager to hear any feedback I can. 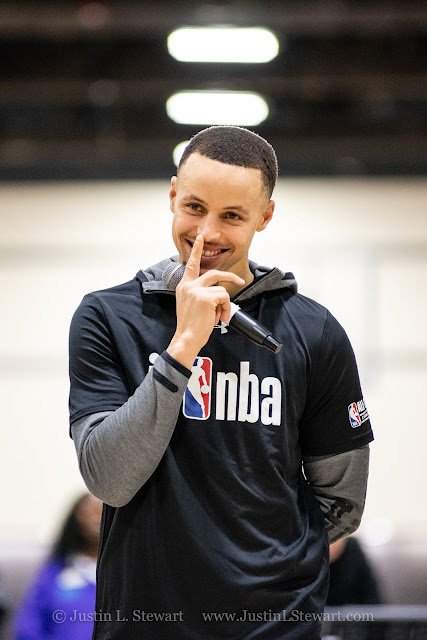 And thanks for swinging by to look and read! 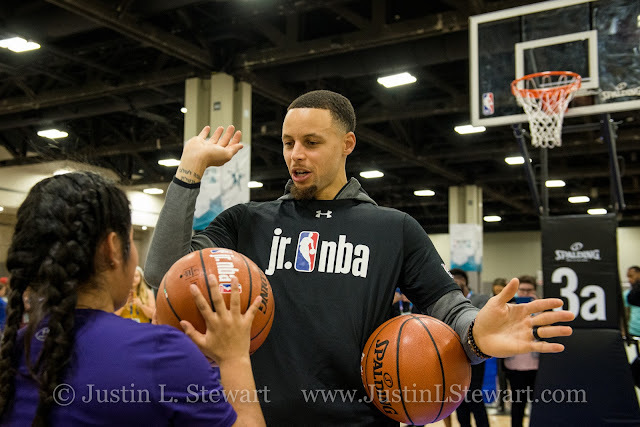 Stephen Curry of the Golden State Warriors at Jr. NBA Day 2019. 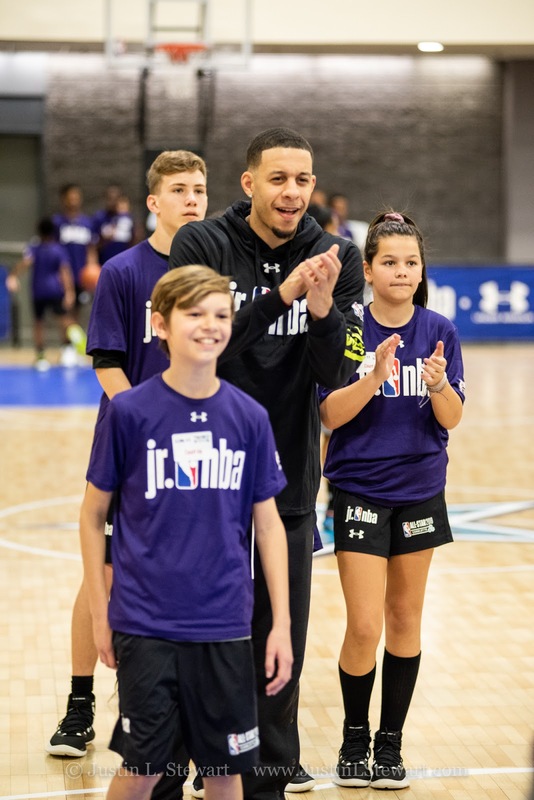 Seth Curry of the Portland Trail Blazers cheers on students during Jr. NBA Day 2019. 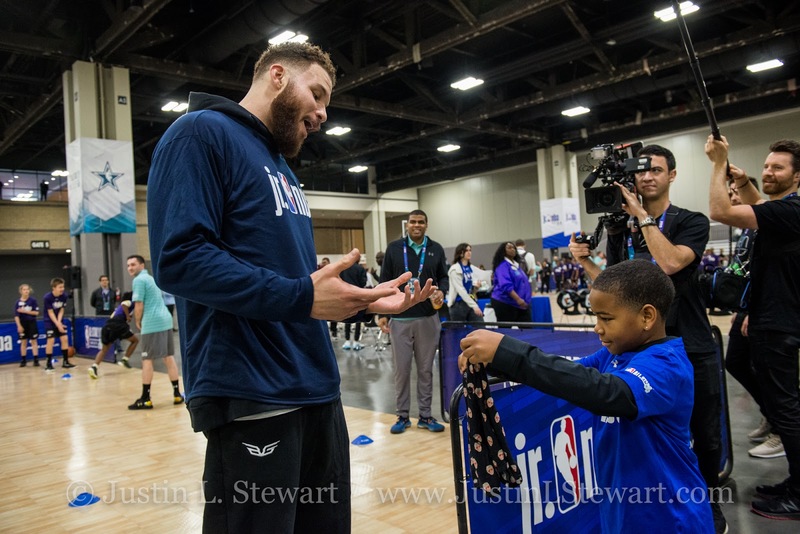 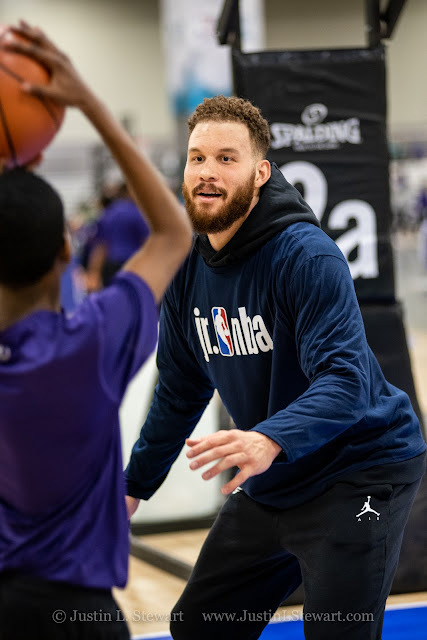 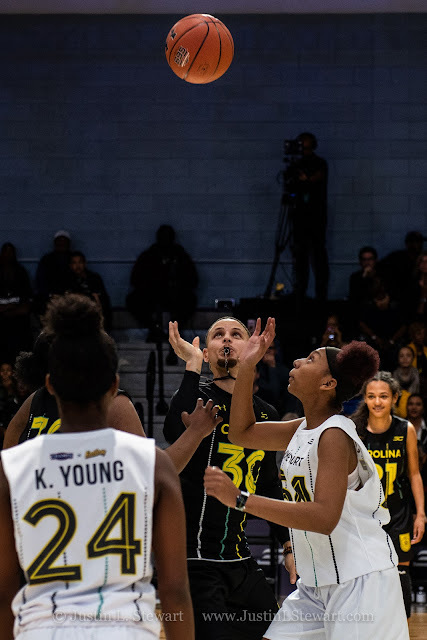 Blake Griffin of the Detroit Pistons defends a student during Jr. NBA Day 2019. 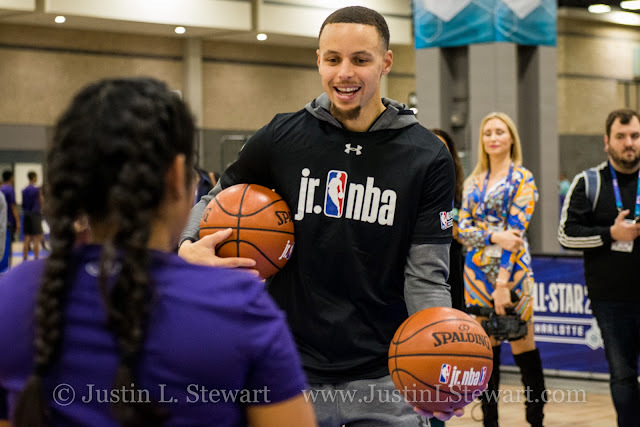 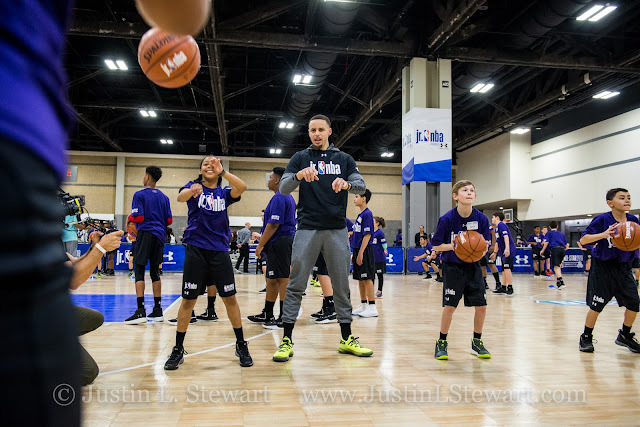 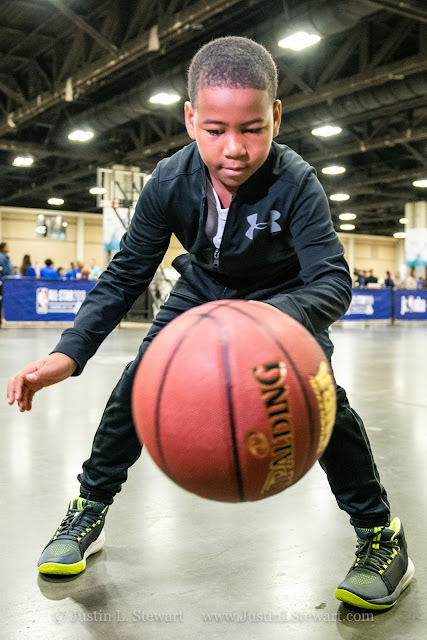 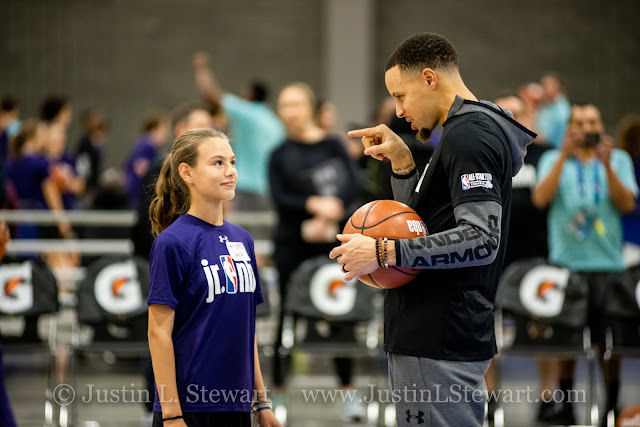 Stephen Curry of the Golden State Warriors coaches a student at Jr. NBA Day 2019 in Charlotte, NC. 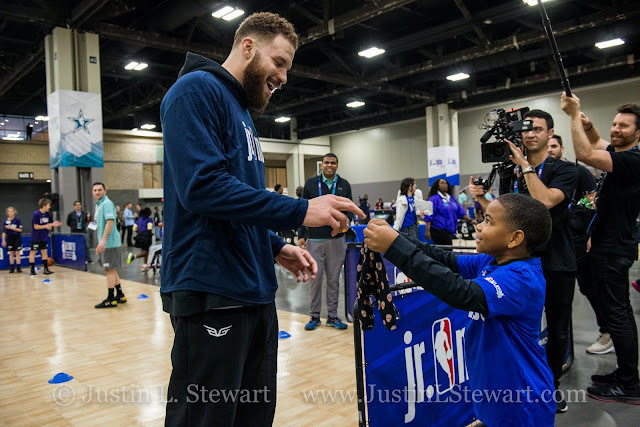 Blake Griffin is given a pair of Ellen boxers by a child at Jr. NBA Day 2019. 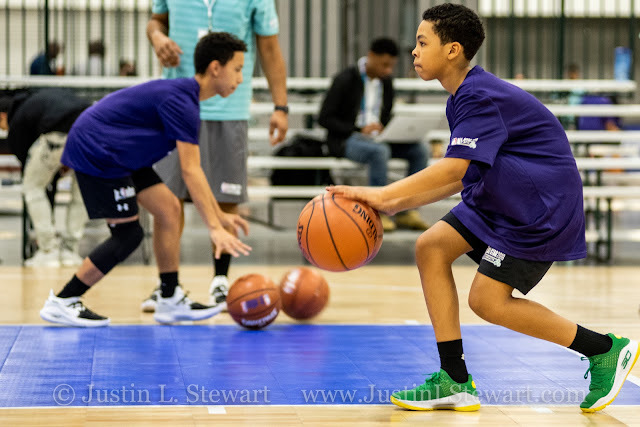 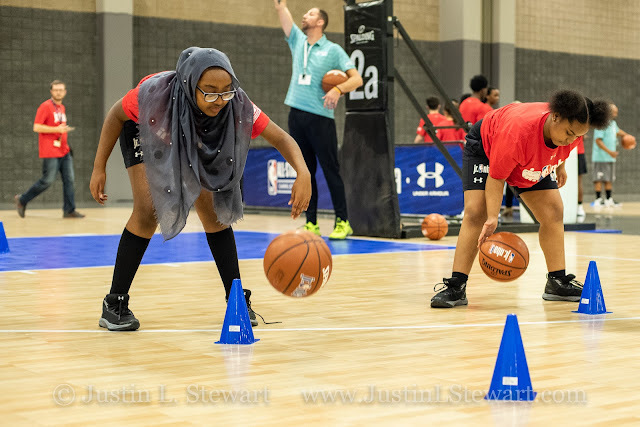 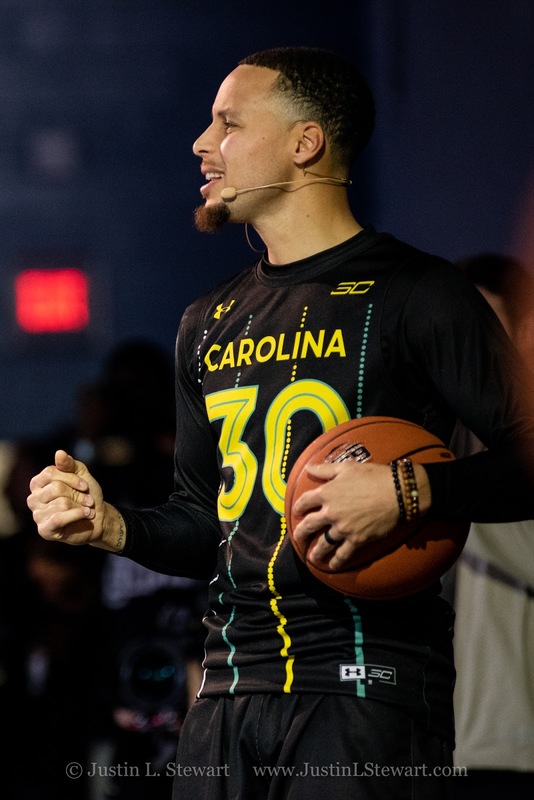 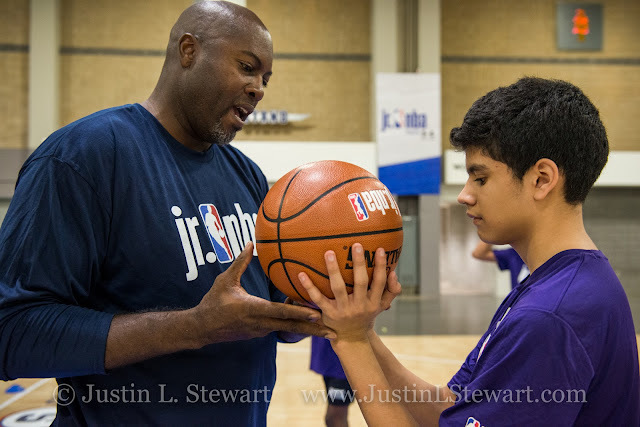 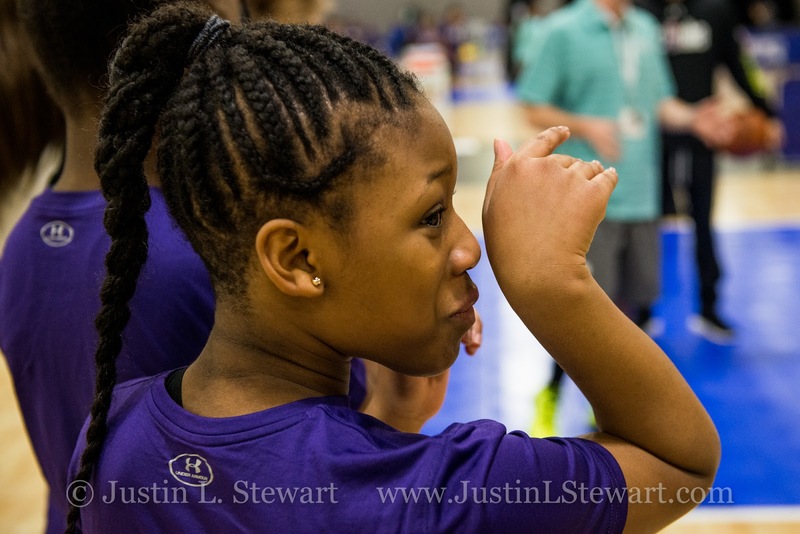 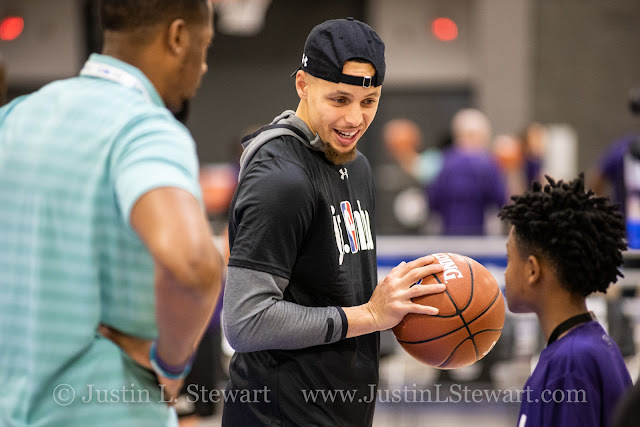 Stephen Curry coaches a student at Jr. NBA Day 2019 in Charlotte, NC. 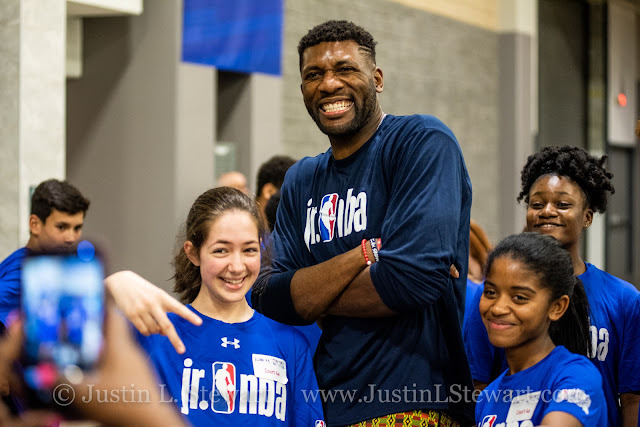 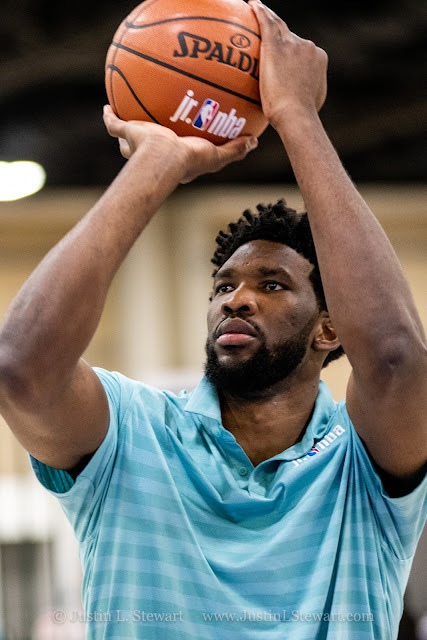 Joel Embiid shoots a basketball at Jr. NBA Day 2019. 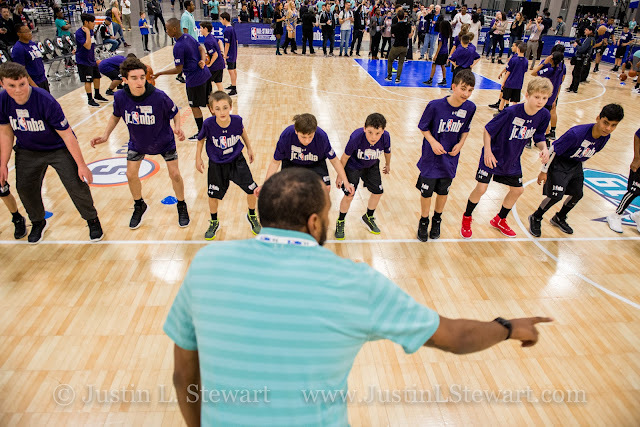 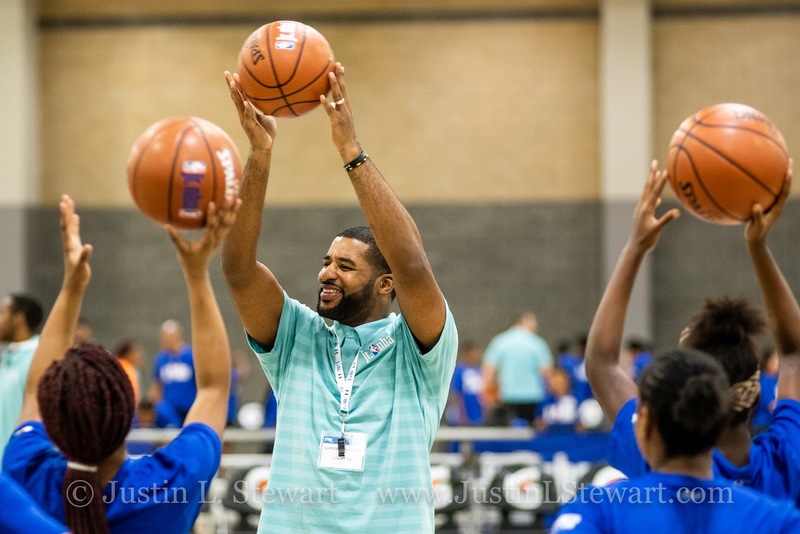 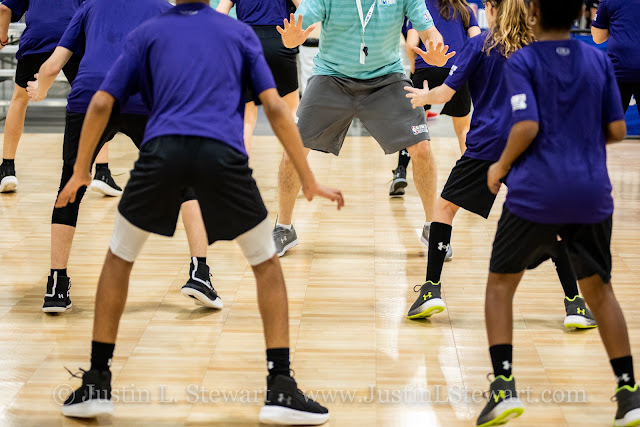 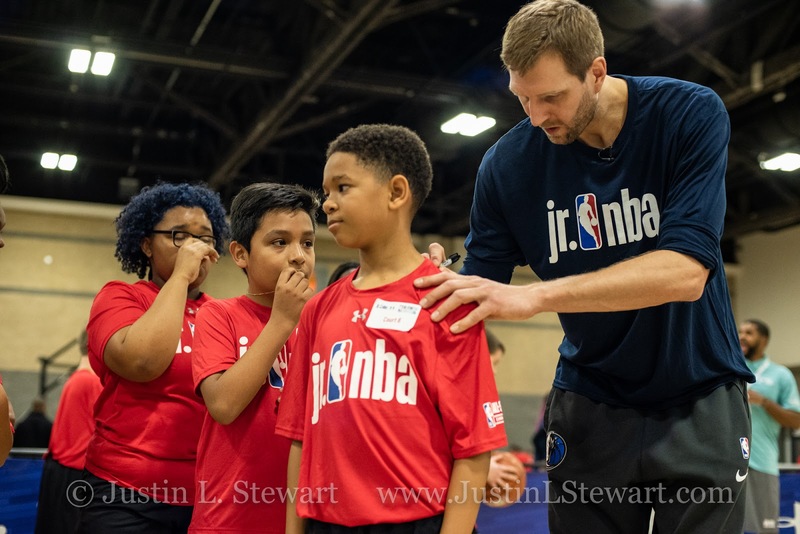 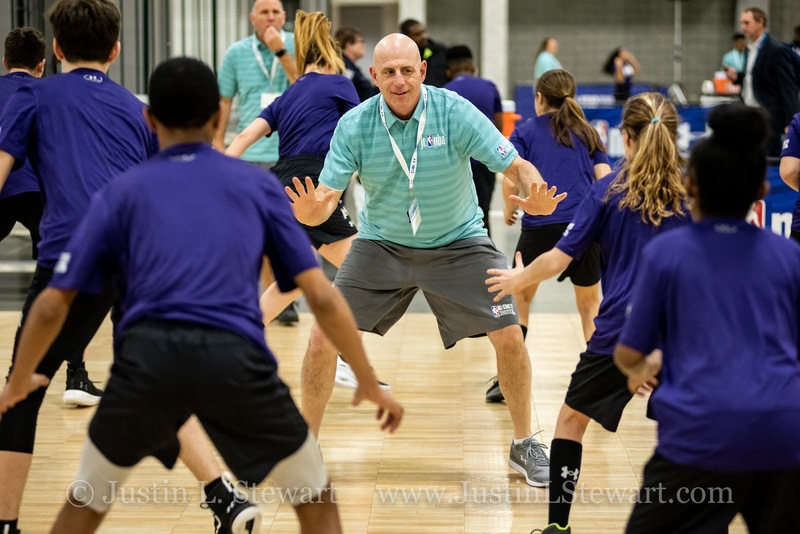 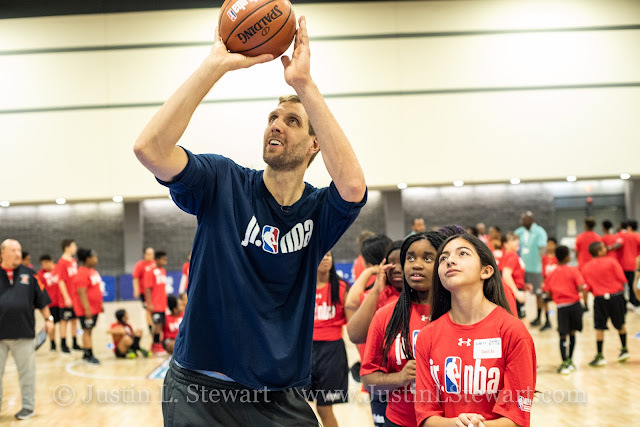 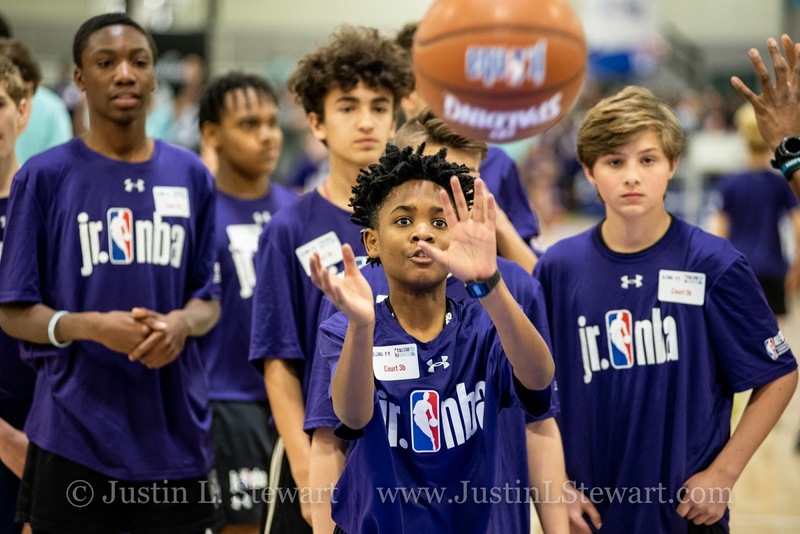 Dirk Nowitzki coaches students at Jr. NBA Day 2019 in Charlotte, NC. 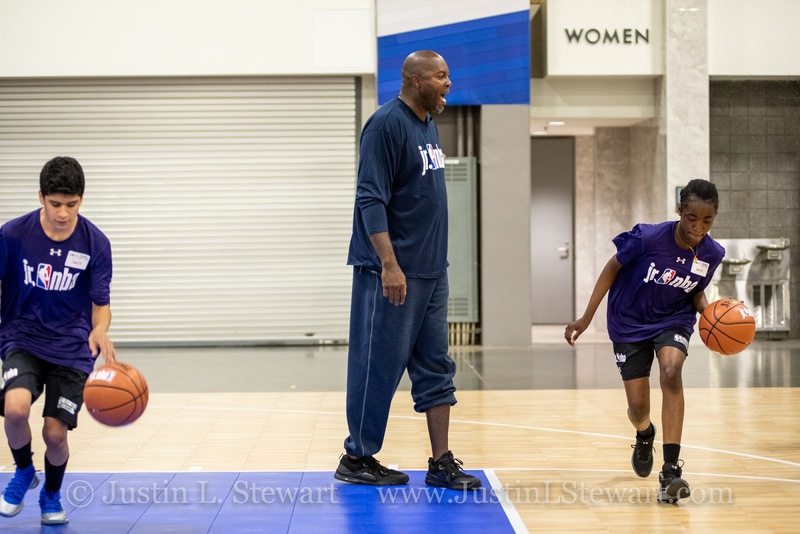 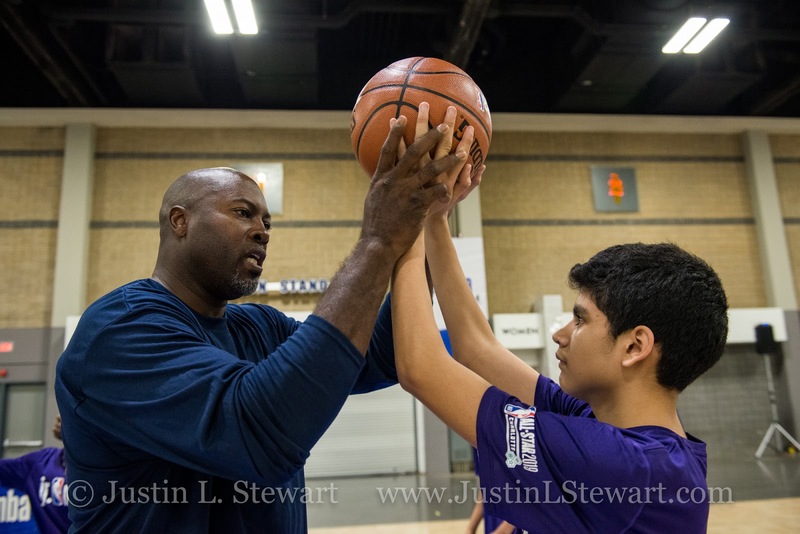 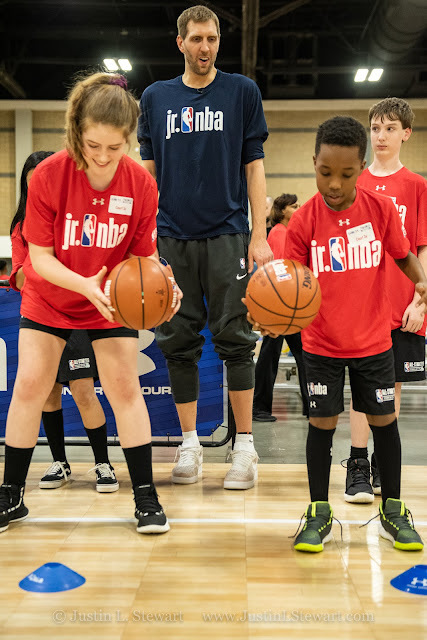 Dirk Nowitzki coaches a student at Jr. NBA Day 2019 in Charlotte, NC. Dirk Nowitzki of the Dallas Mavericks signs shirts at Jr. NBA Day 2019 in Charlotte, NC. 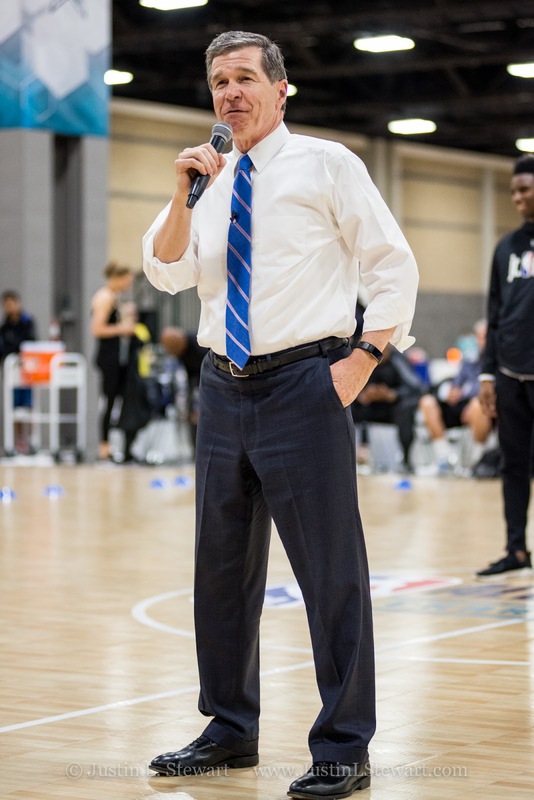 North Carolina Governor Roy Cooper. 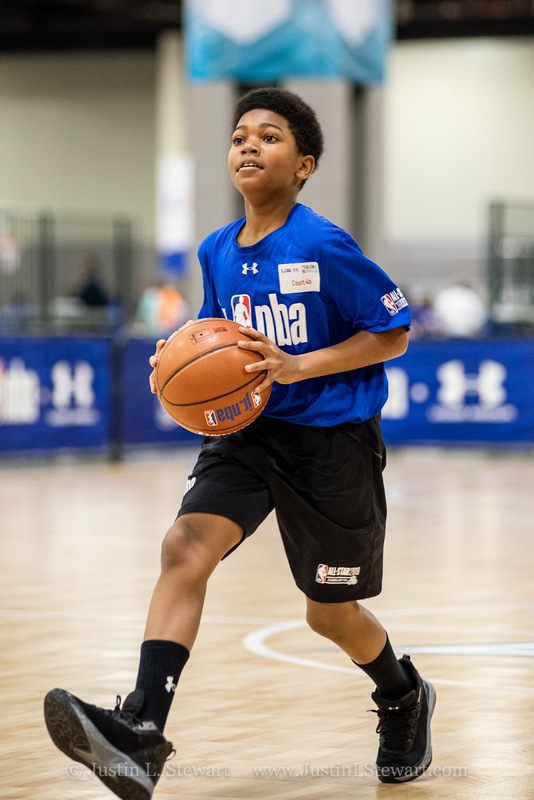 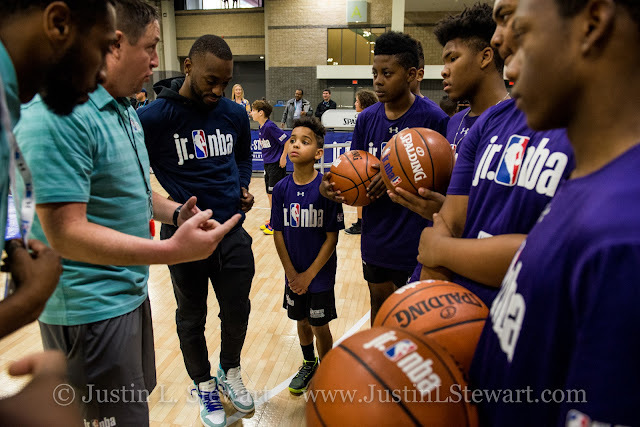 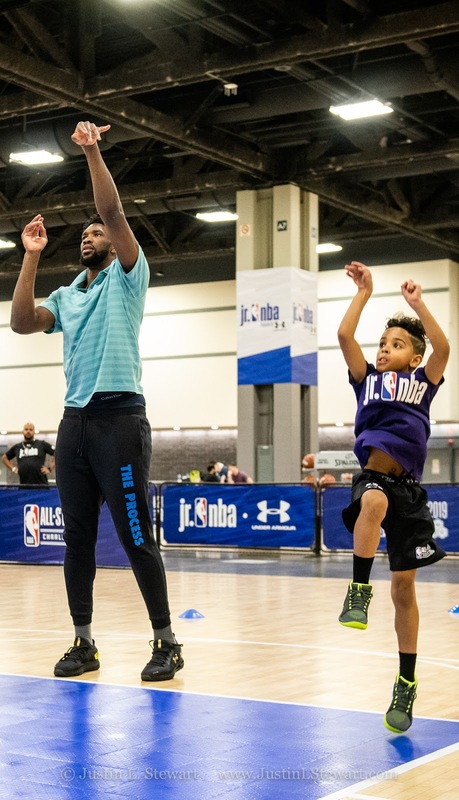 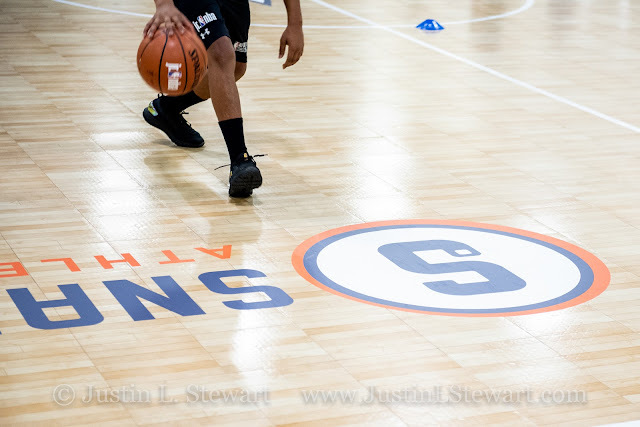 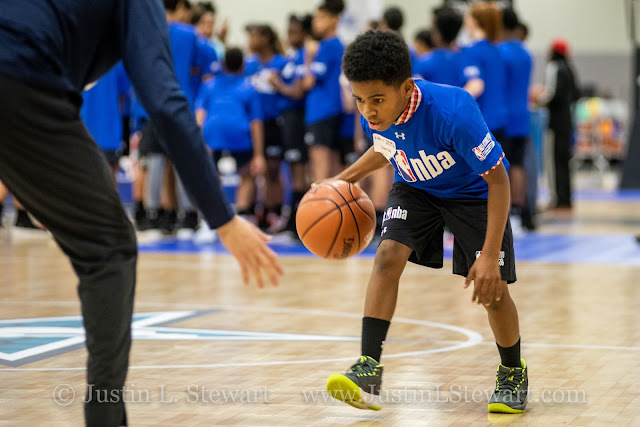 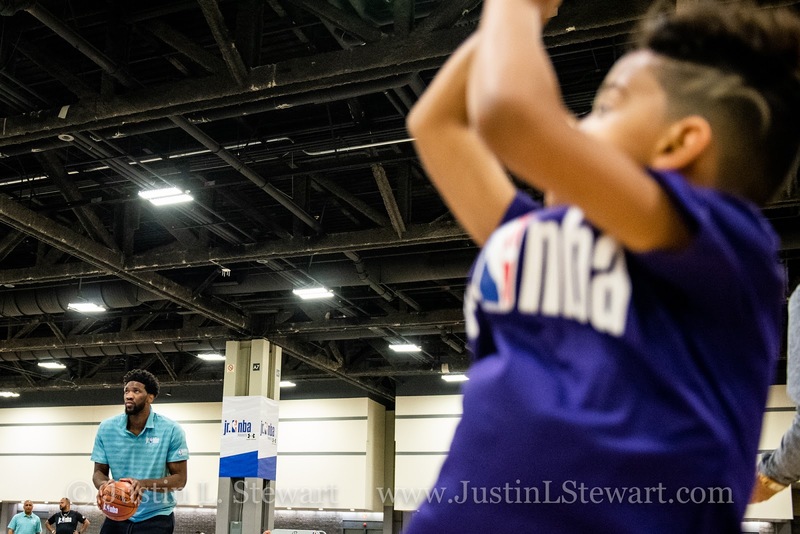 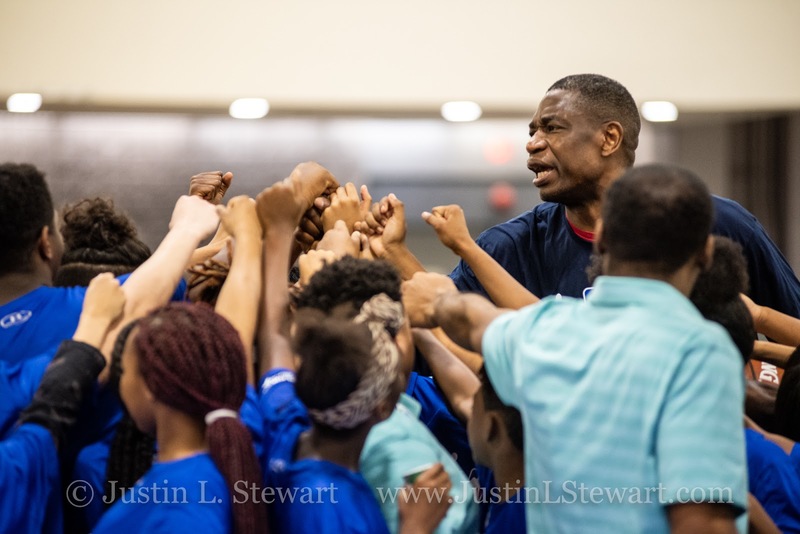 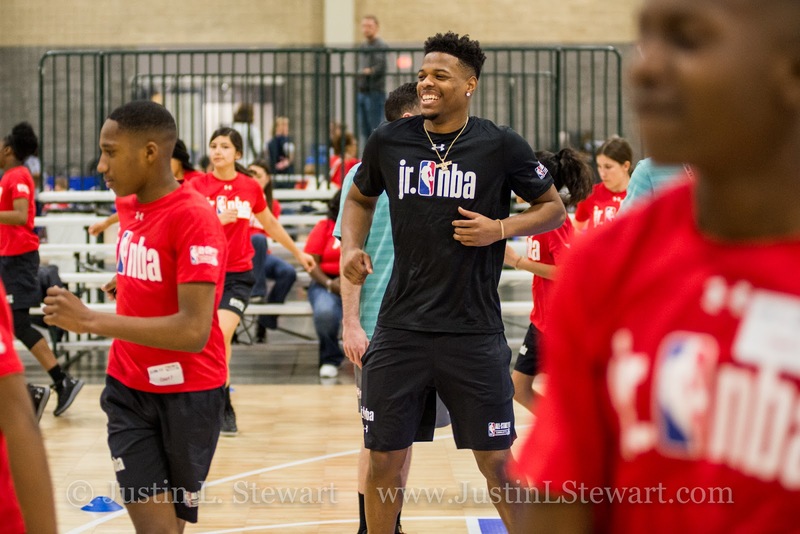 Dennis Smith Jr. runs drills with students at Jr. NBA Day 2019. 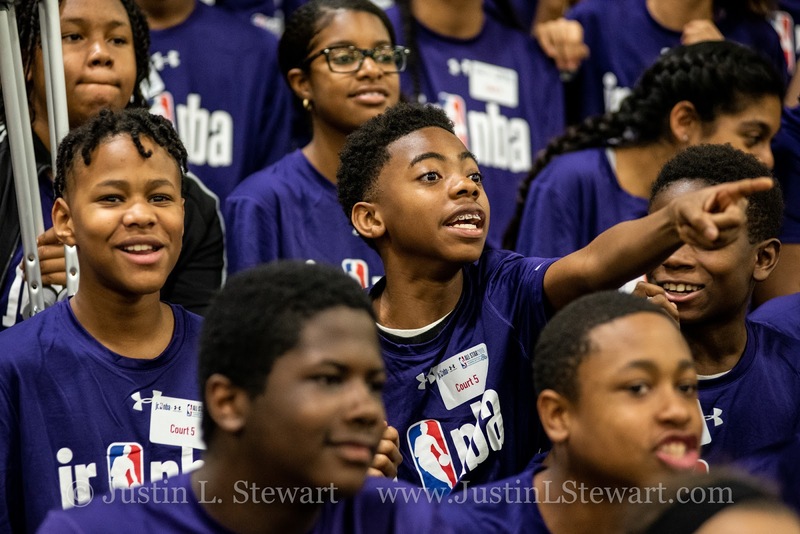 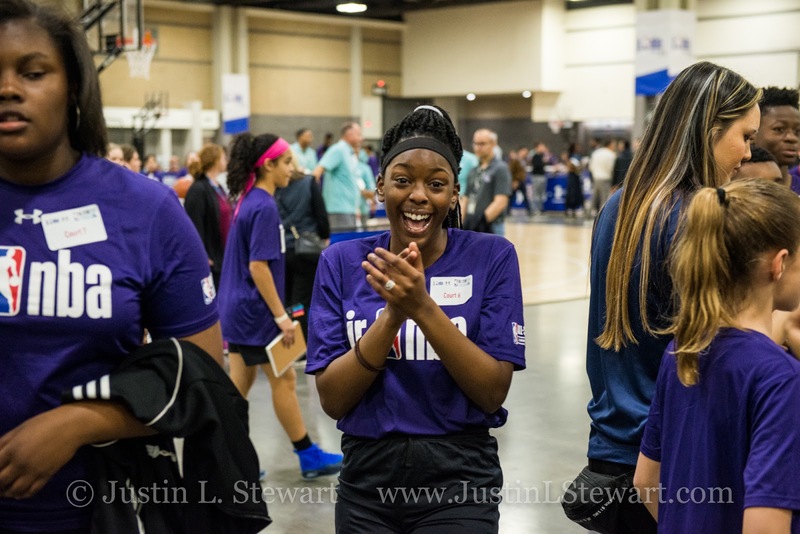 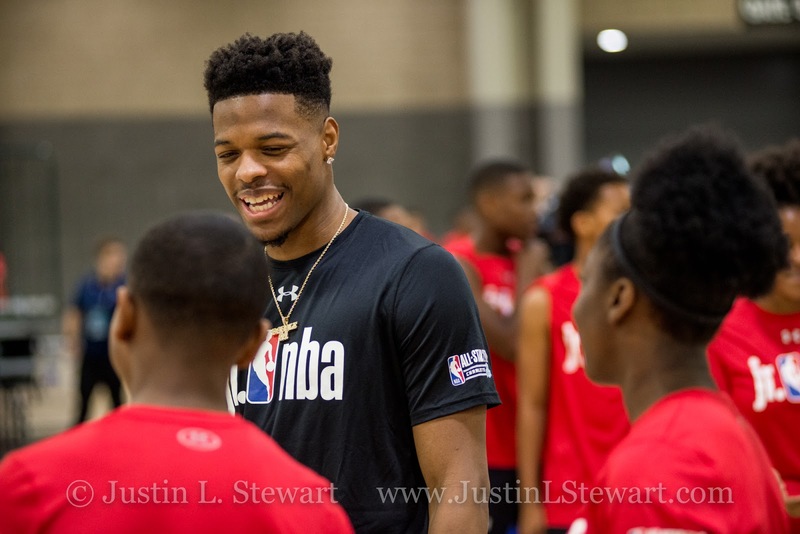 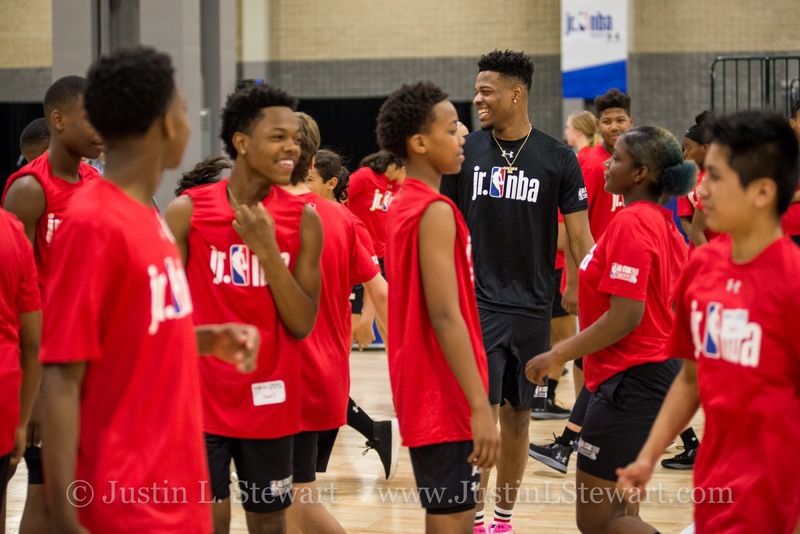 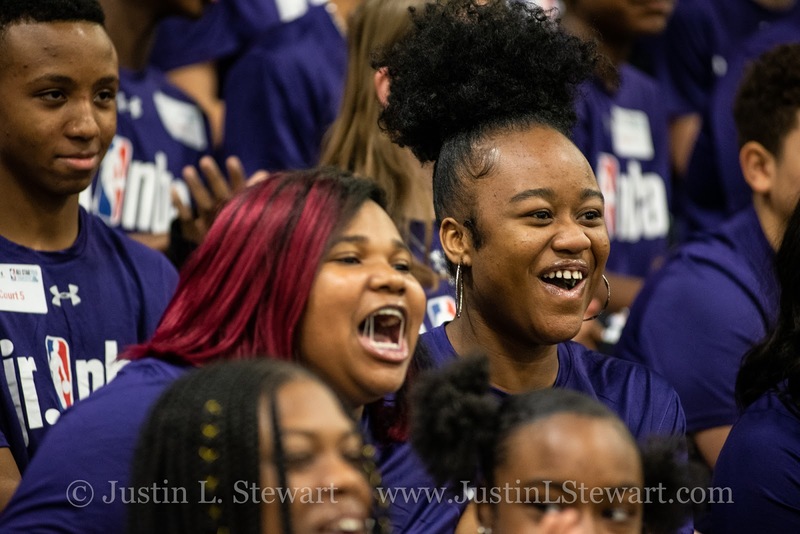 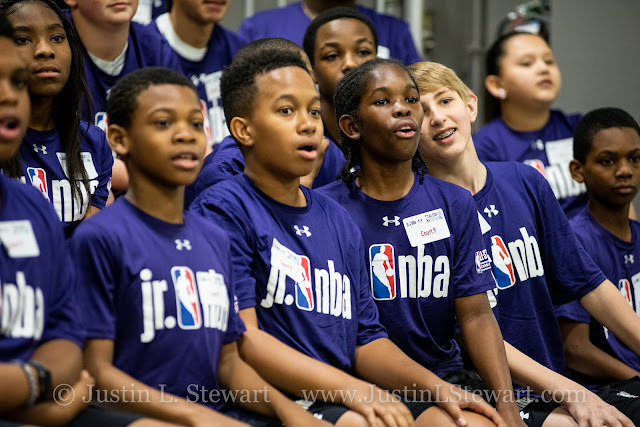 Dennis Smith Jr. laughs with students during Jr. NBA Day 2019. 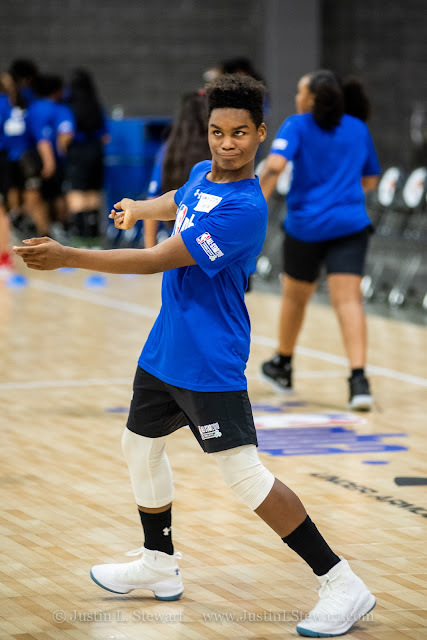 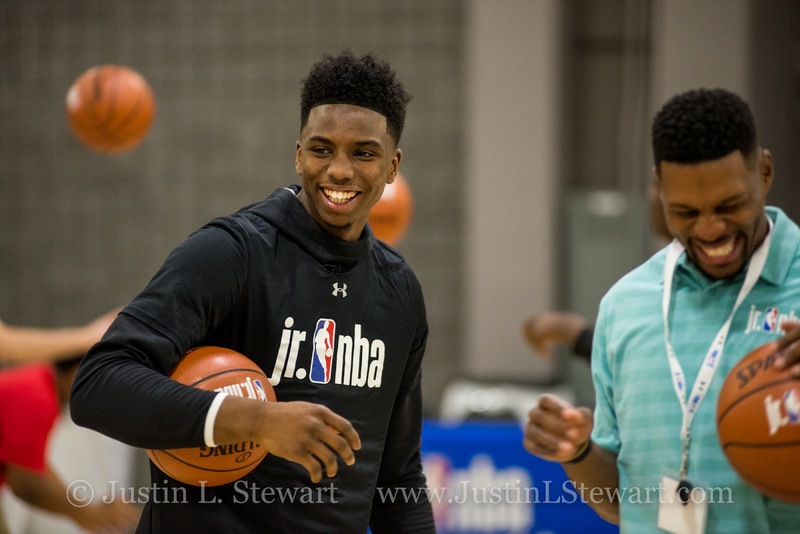 Donovan Mitchell of the Utah Jazz laughs during the Jr. NBA Day 2019. Dennis Smith Jr. talks with students during Jr. NBA Day 2019. 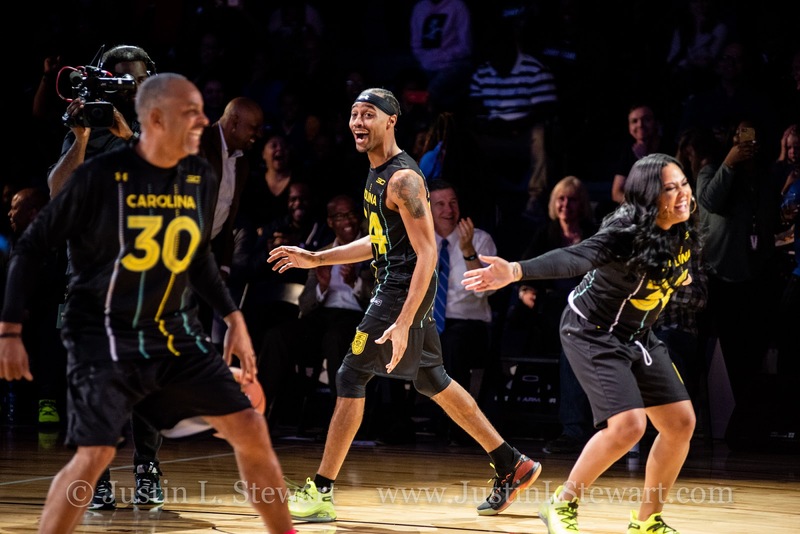 Stephen's mother, Sonya Curry, leaps into her husband Dell Curry's arms after making an underhanded half court shot during a competition at the Carole Hoefener Center in Charlotte, NC.